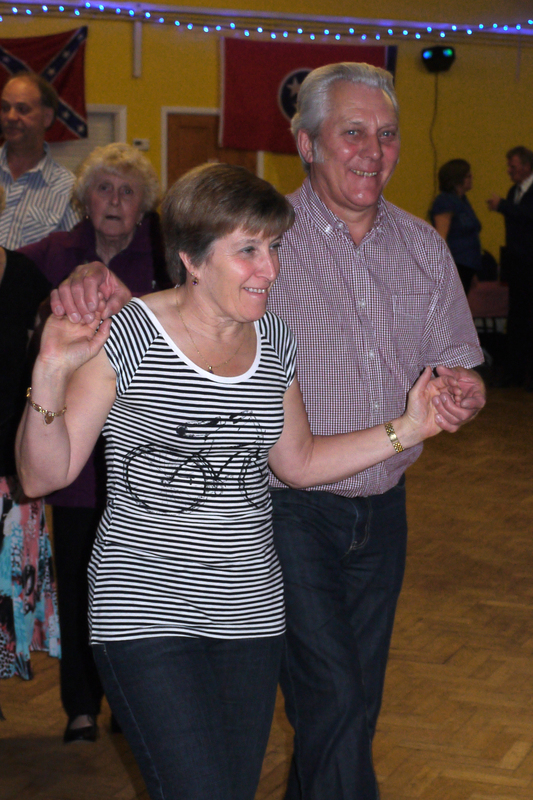 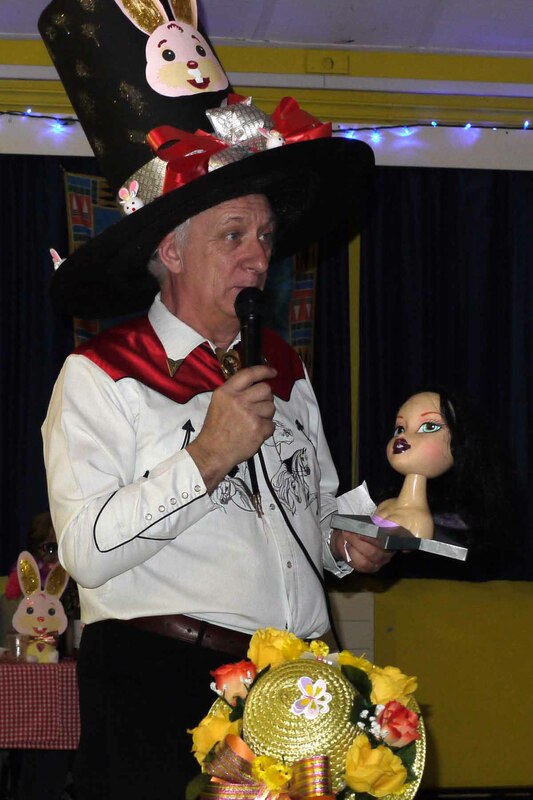 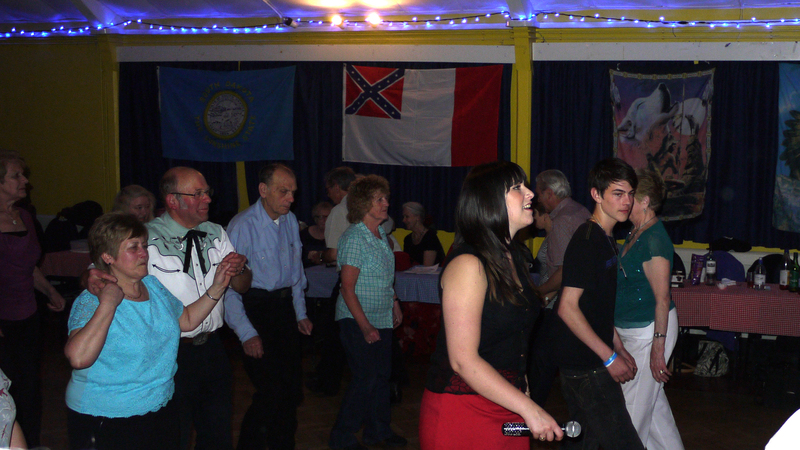 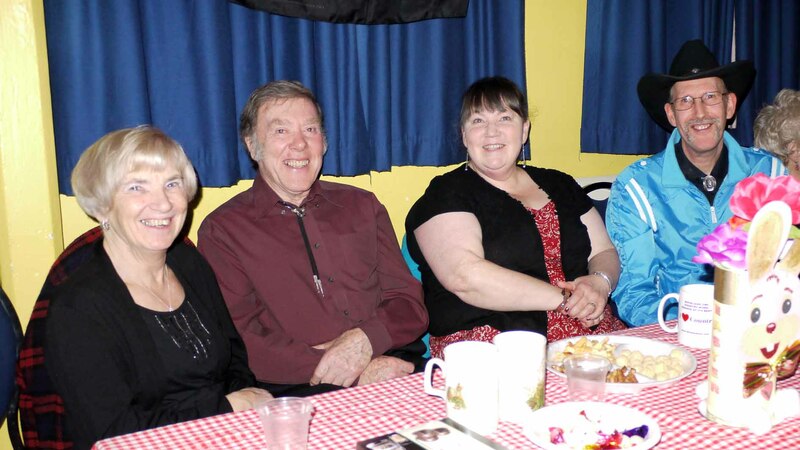 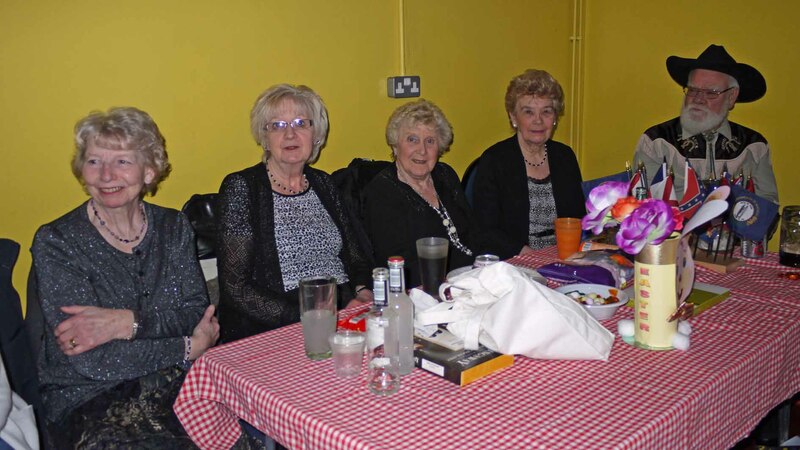 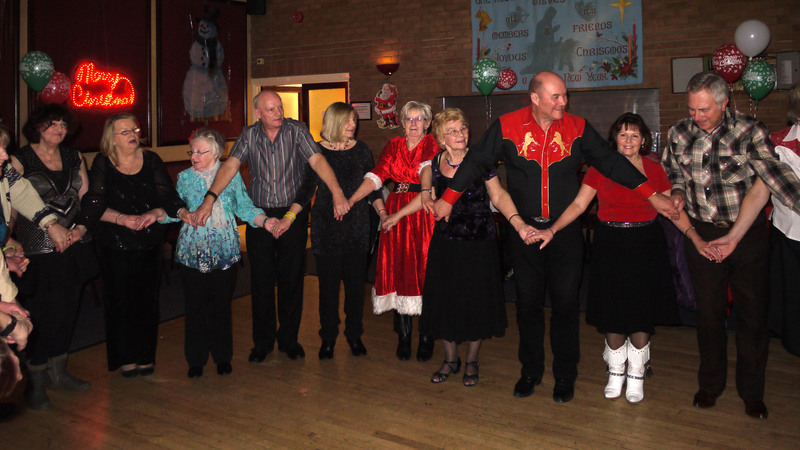 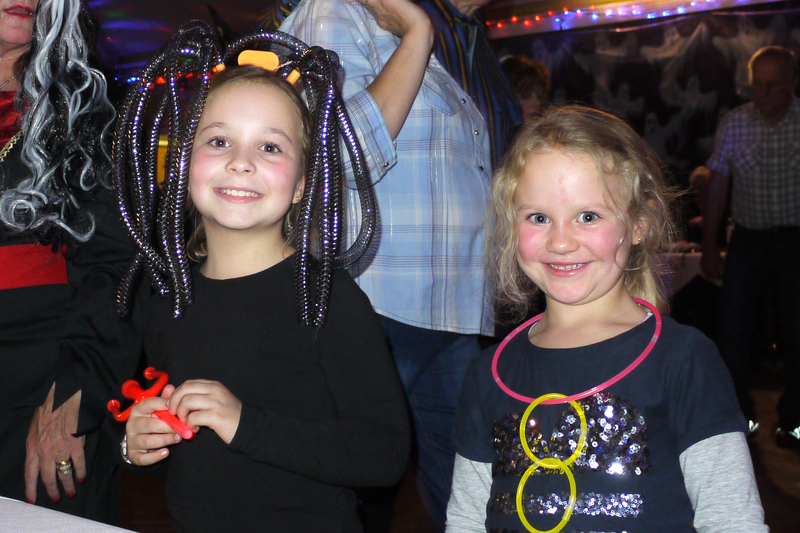 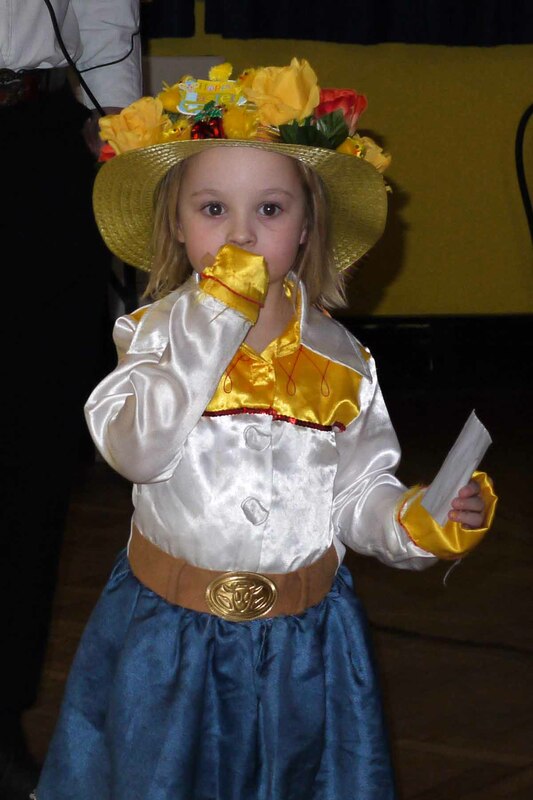 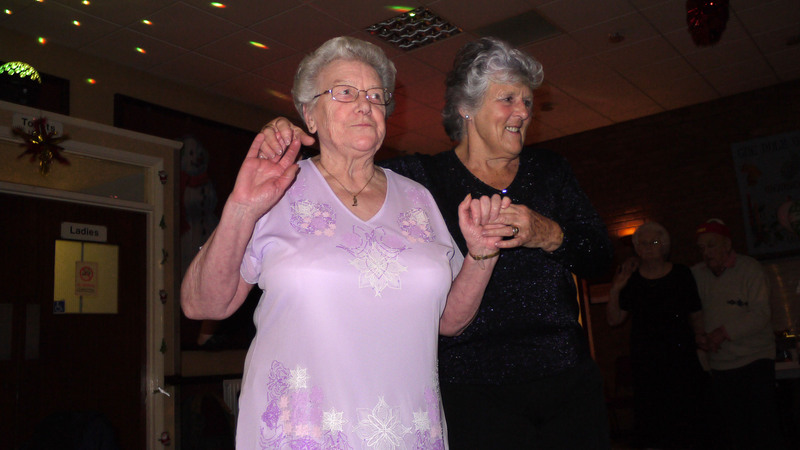 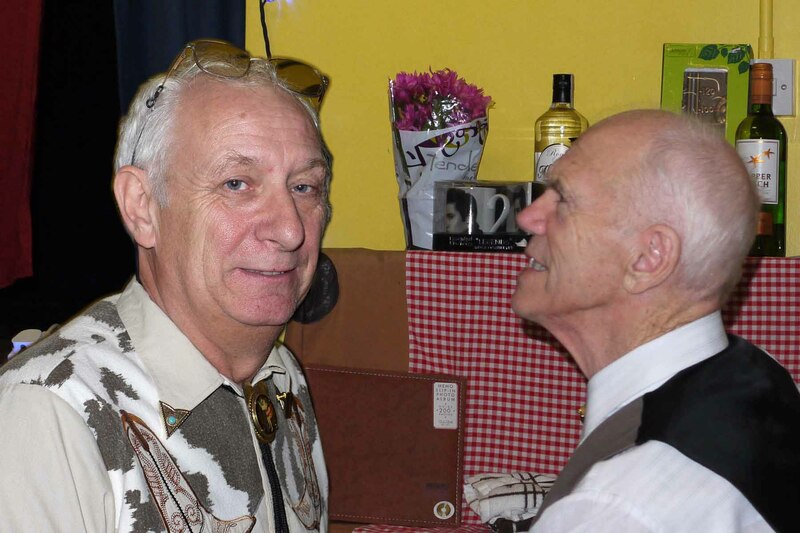 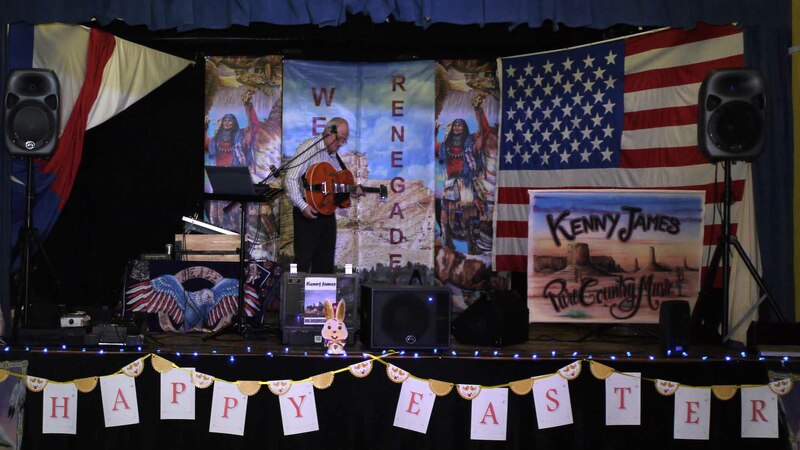 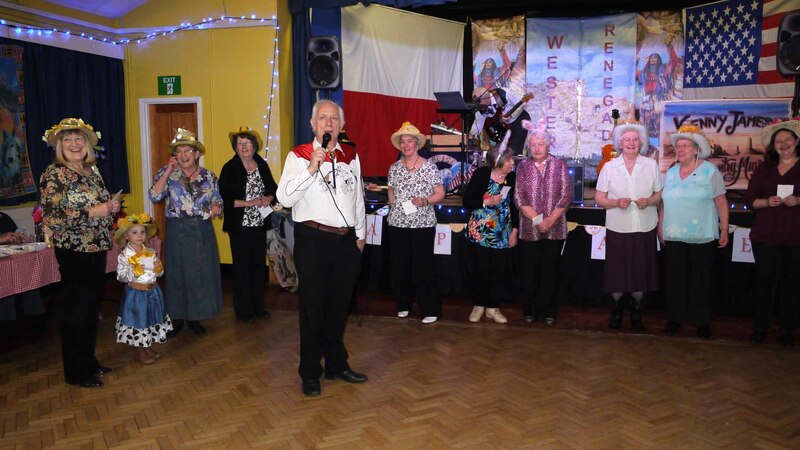 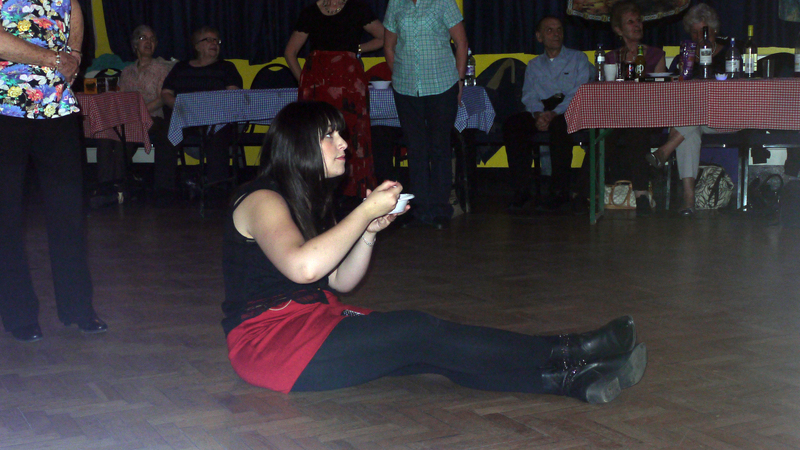 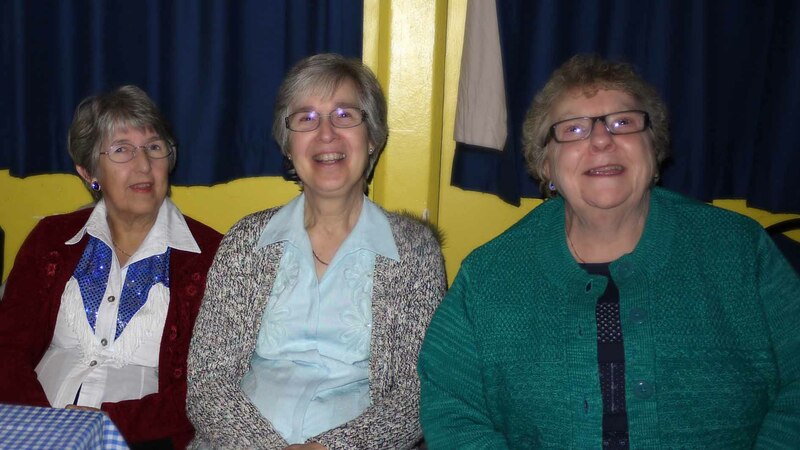 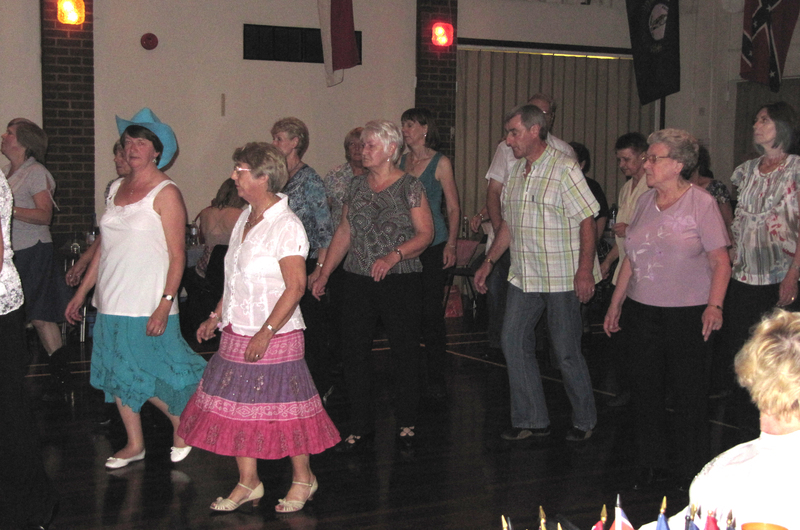 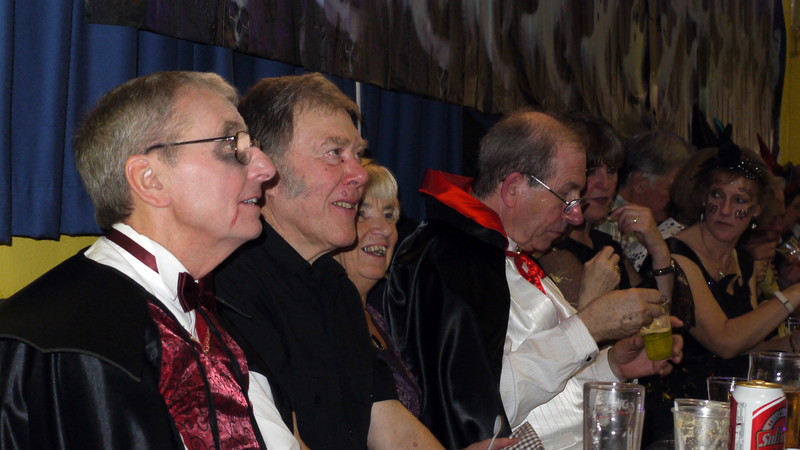 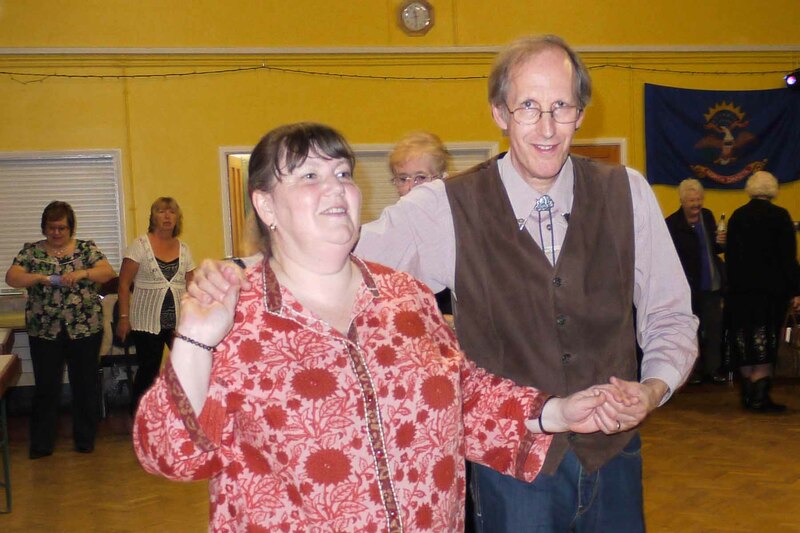 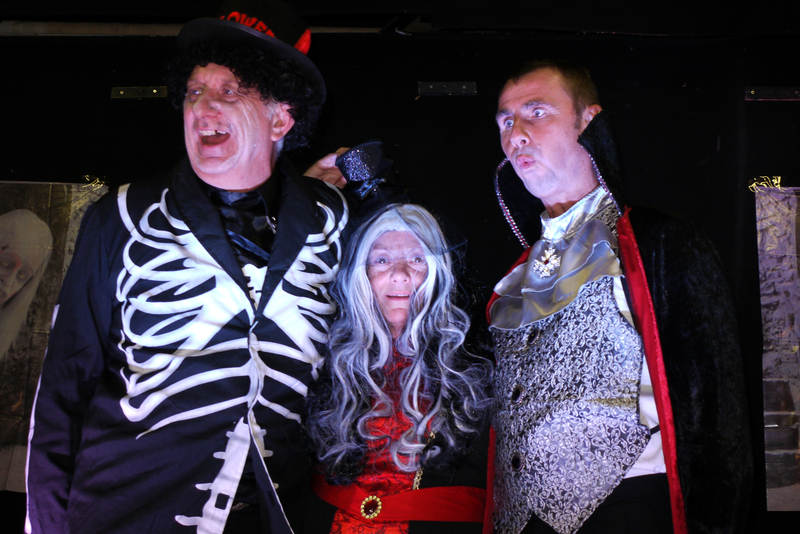 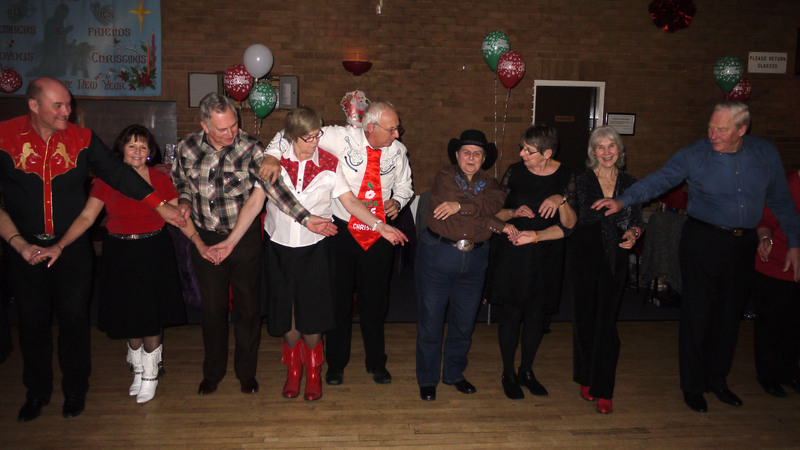 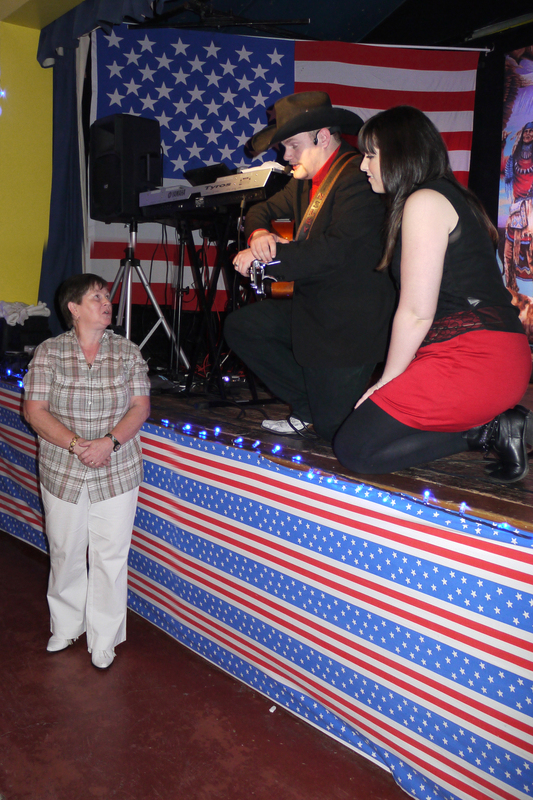 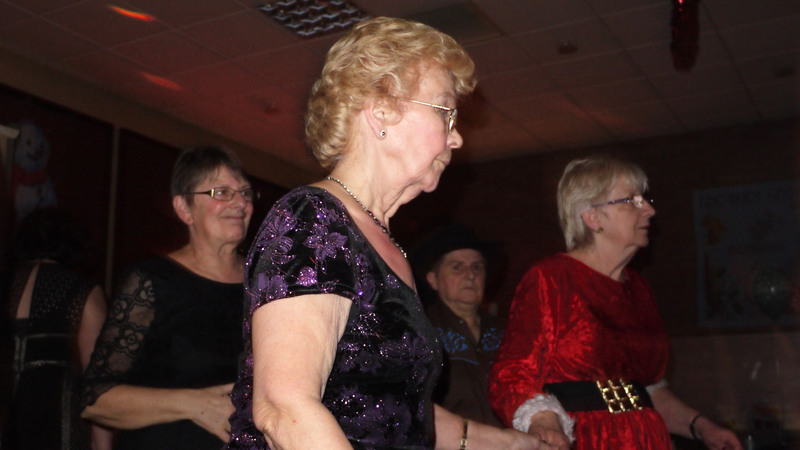 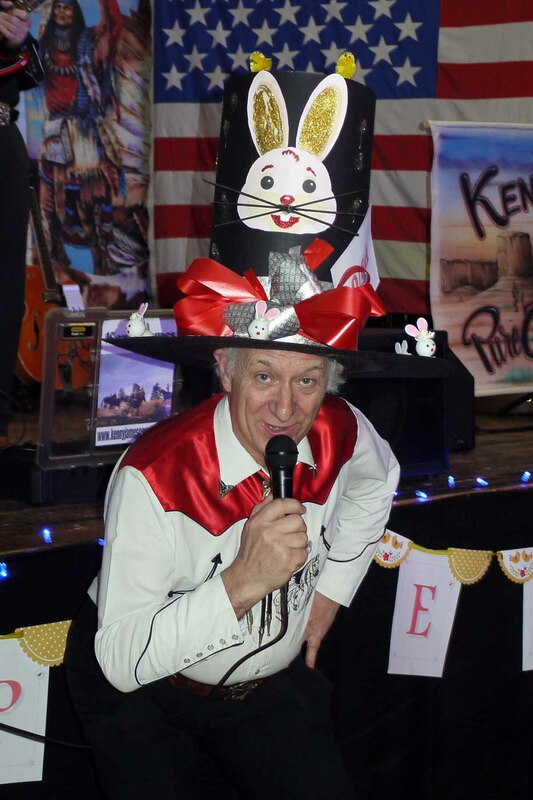 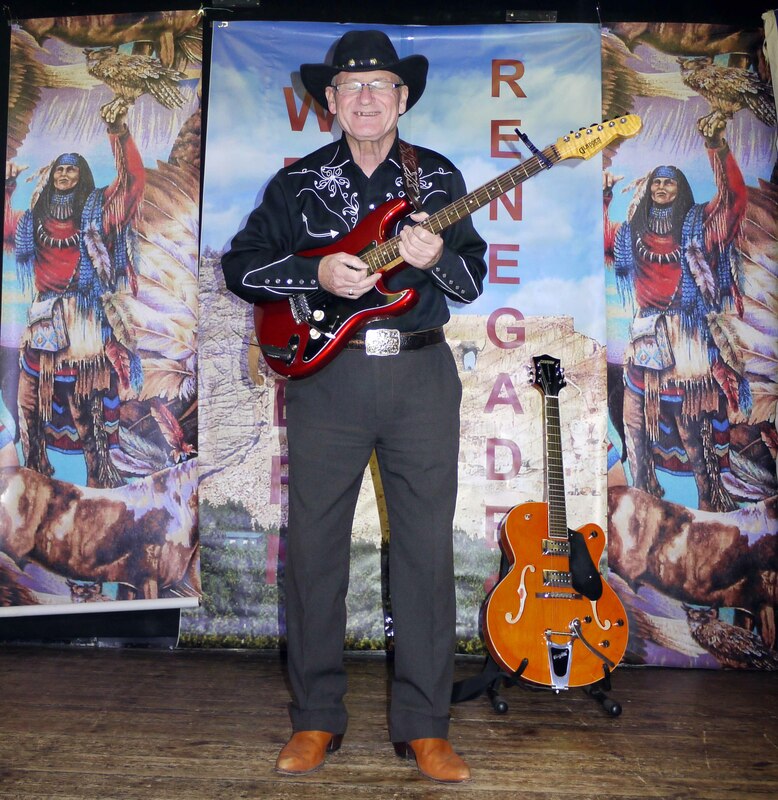 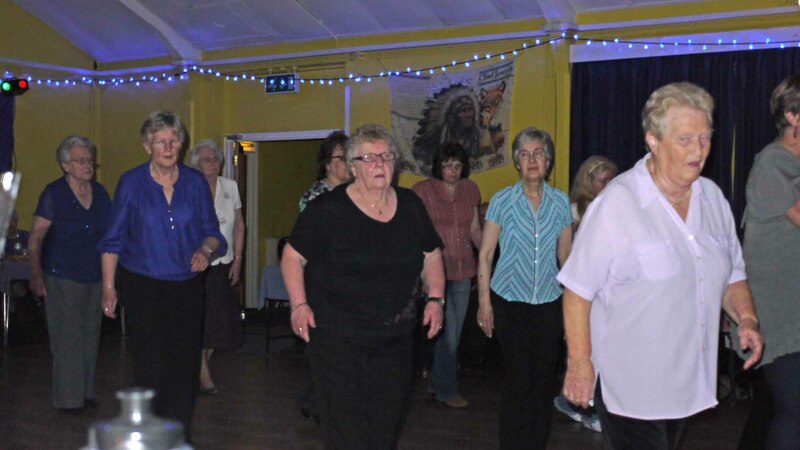 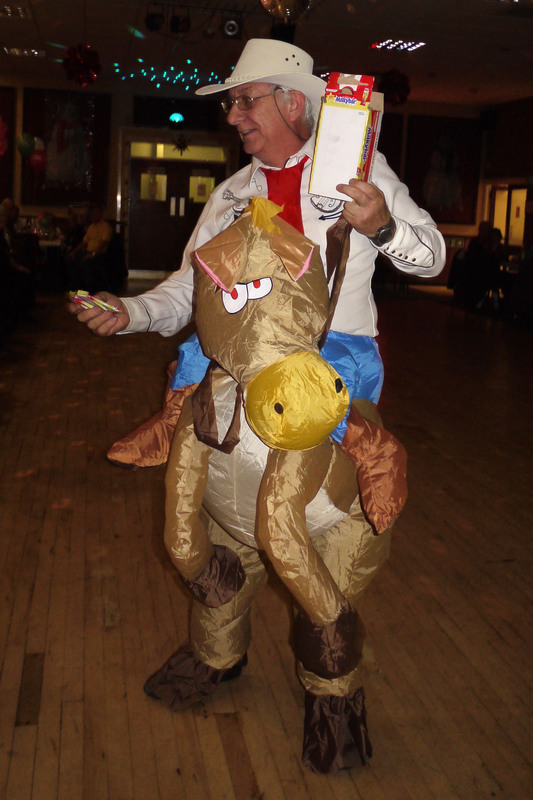 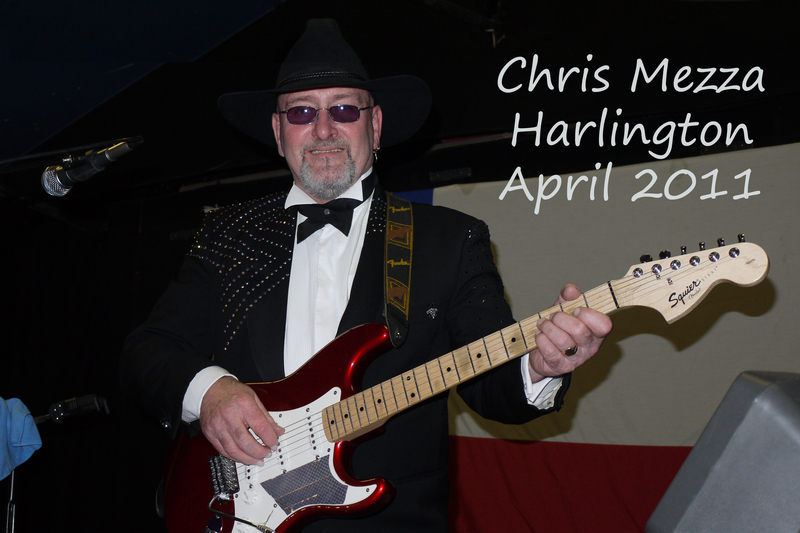 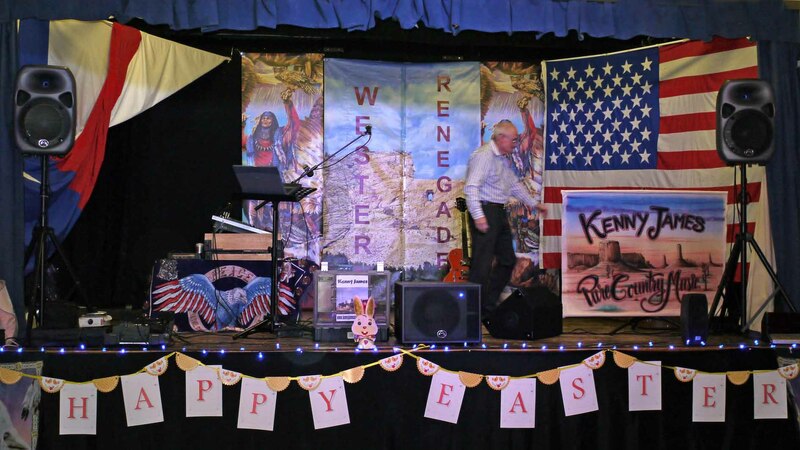 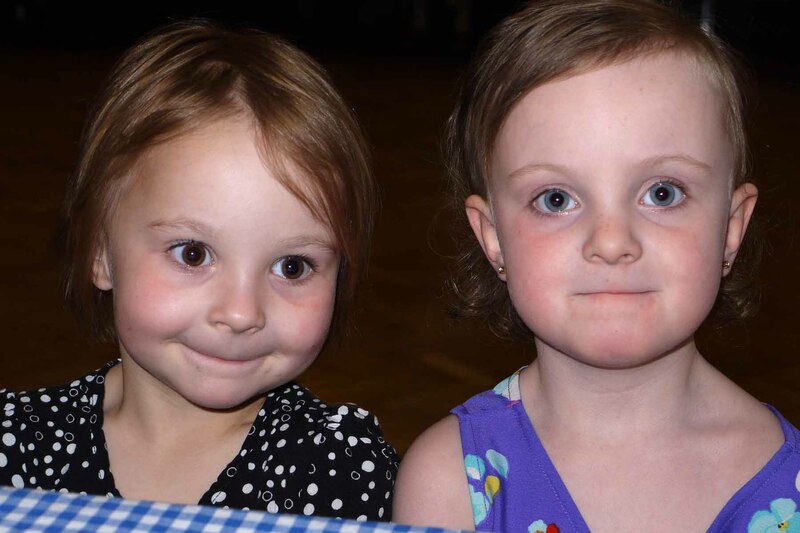 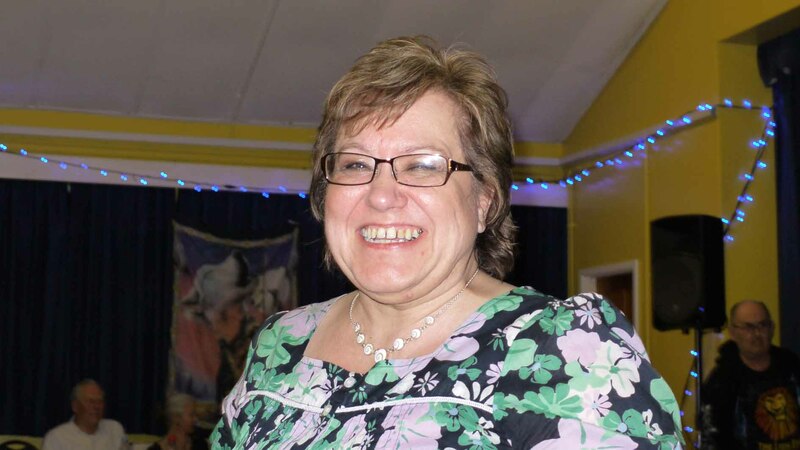 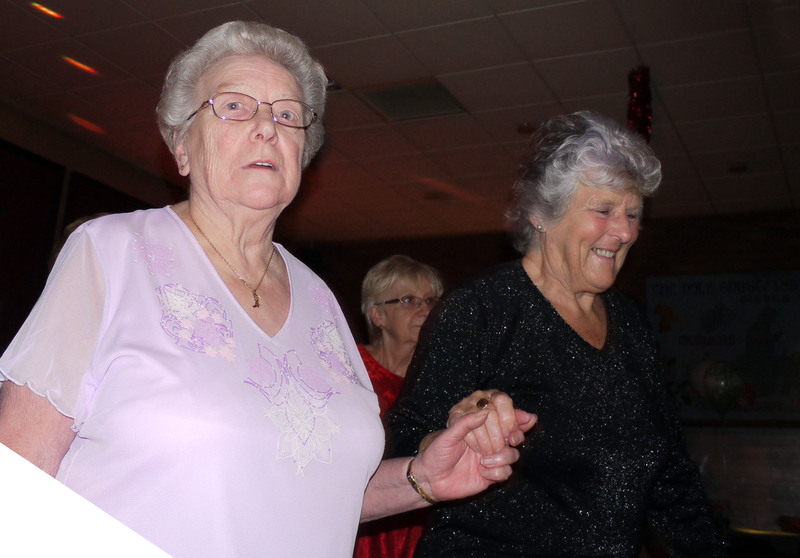 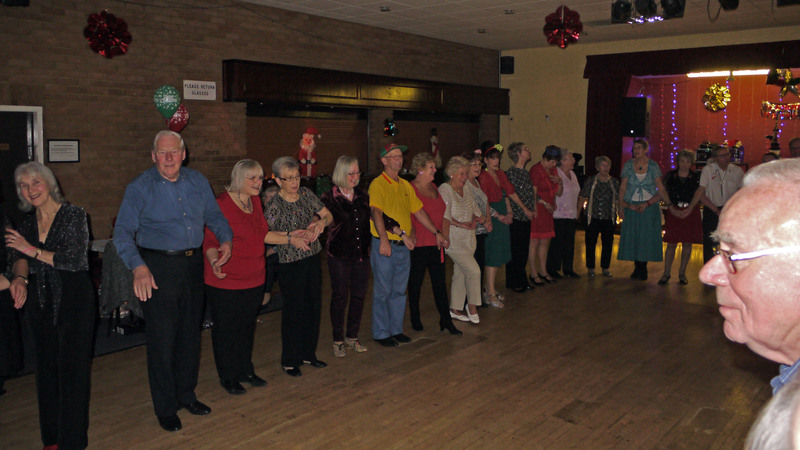 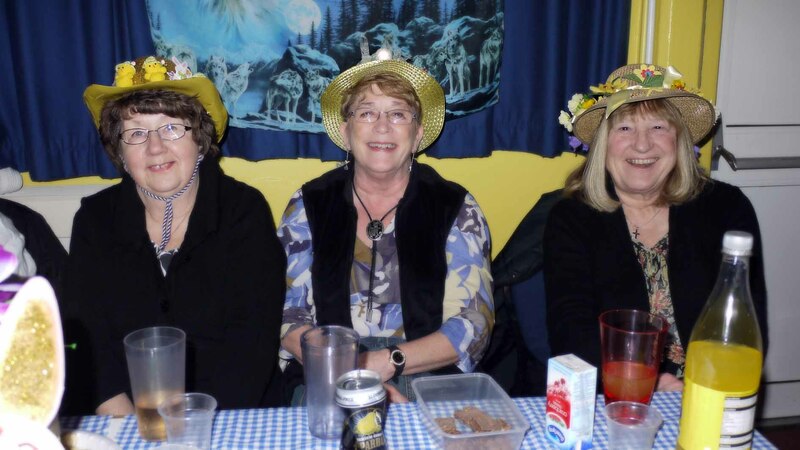 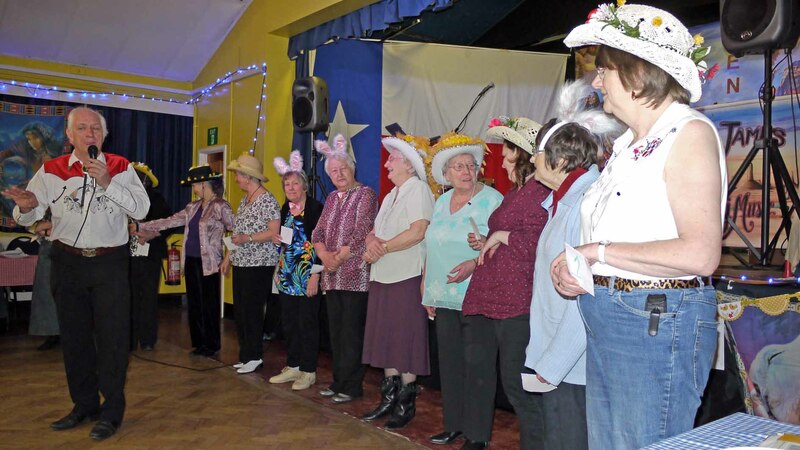 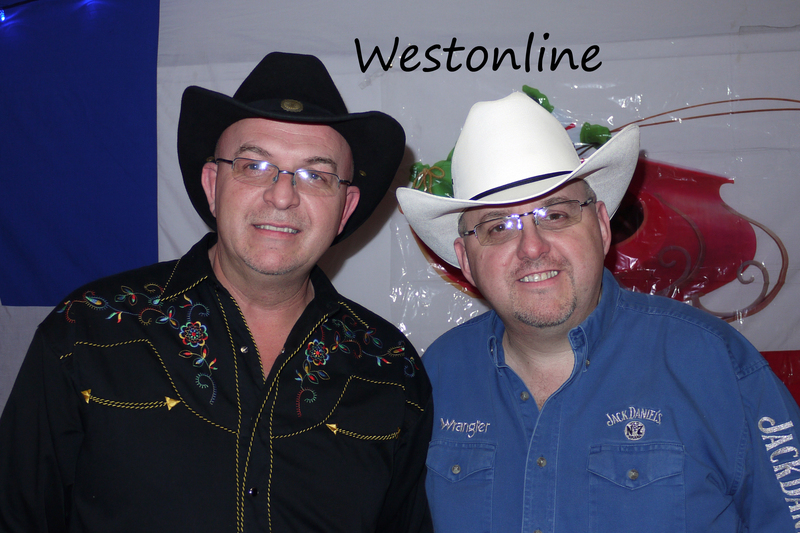 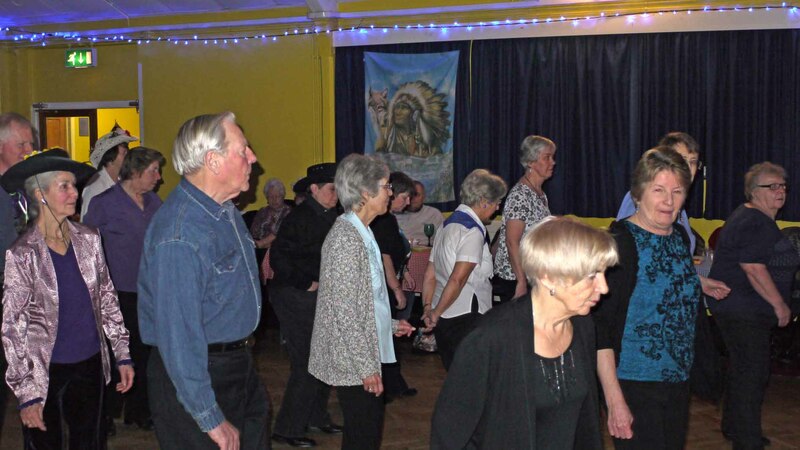 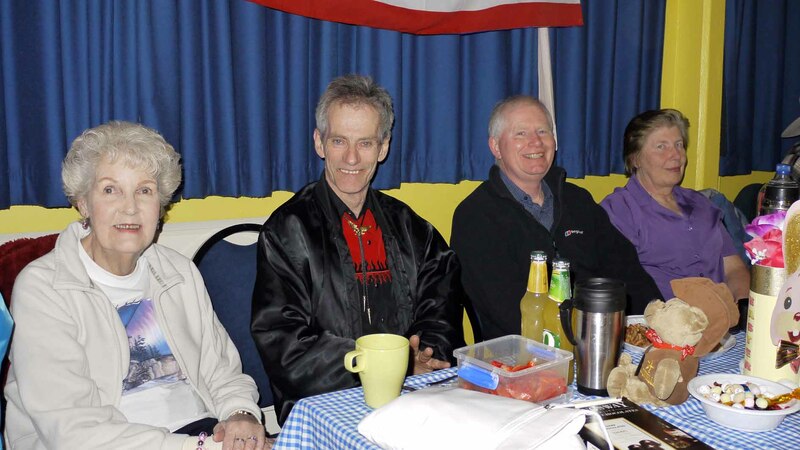 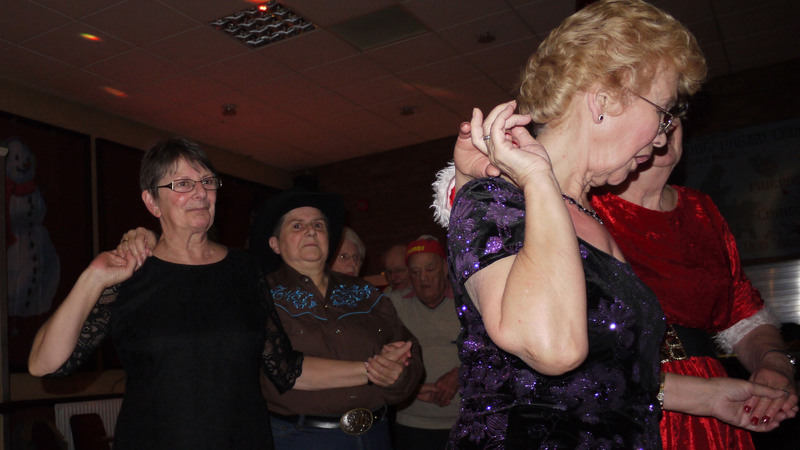 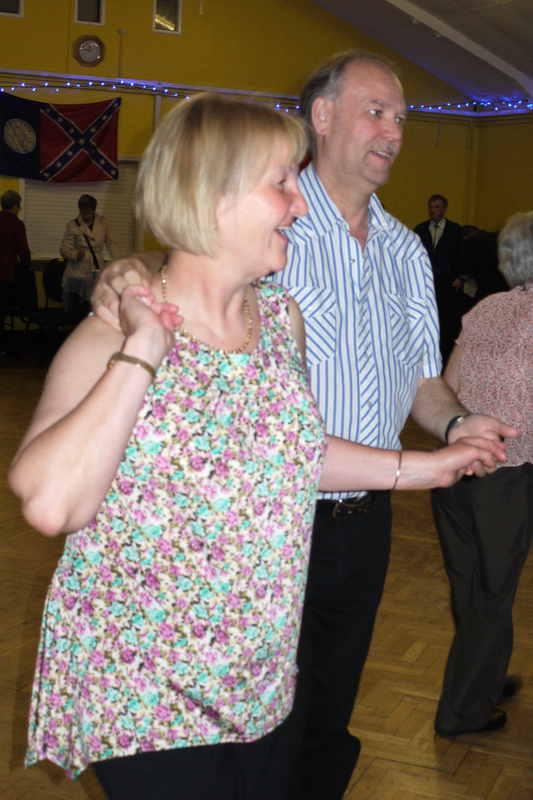 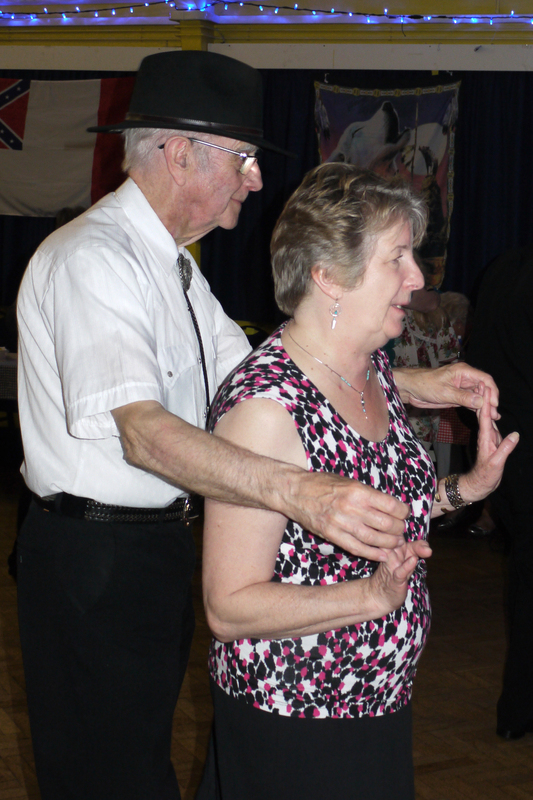 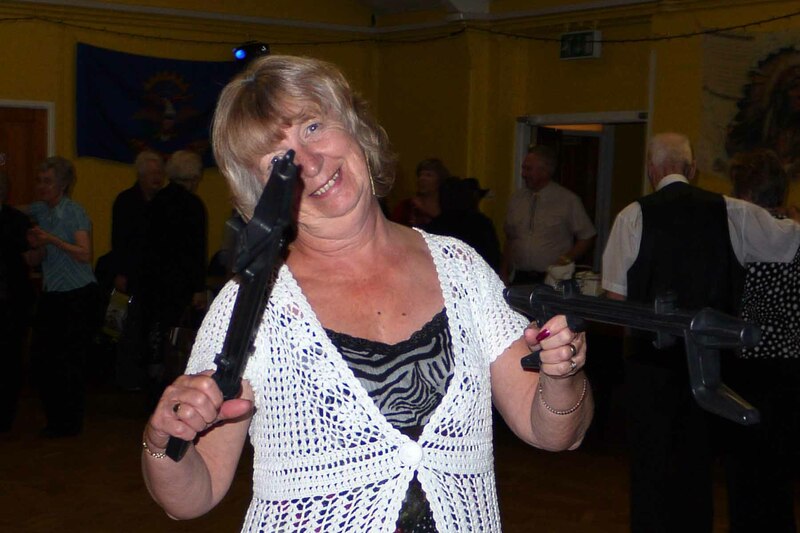 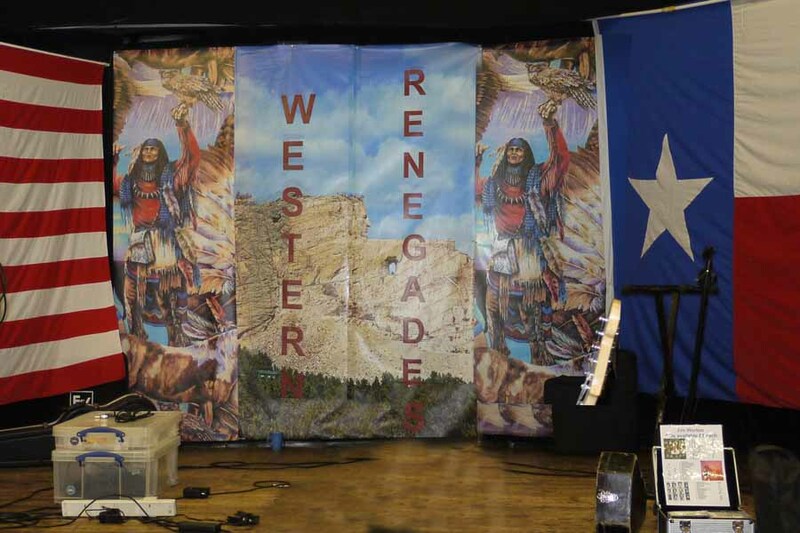 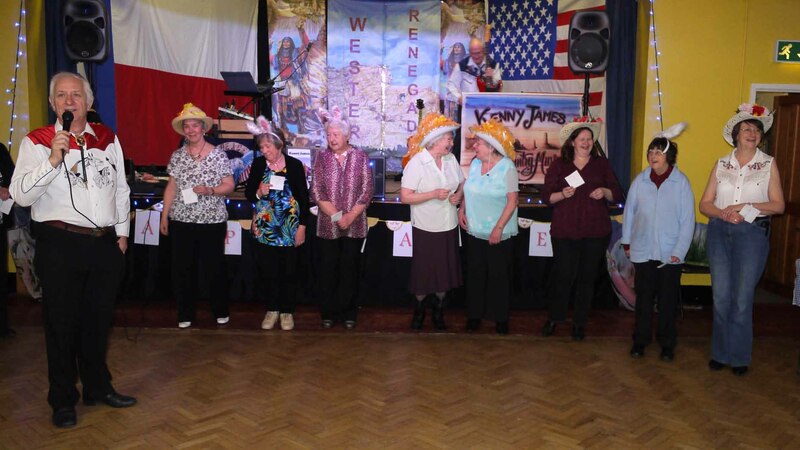 Western Renegades CMC with Rick Storm at Harlington Village Hall October 2016 (A Halloween Dance) You've heard of people pulling out the stops but tonight Ron and Lucy (and helpers) must have found a lot more more to pull. 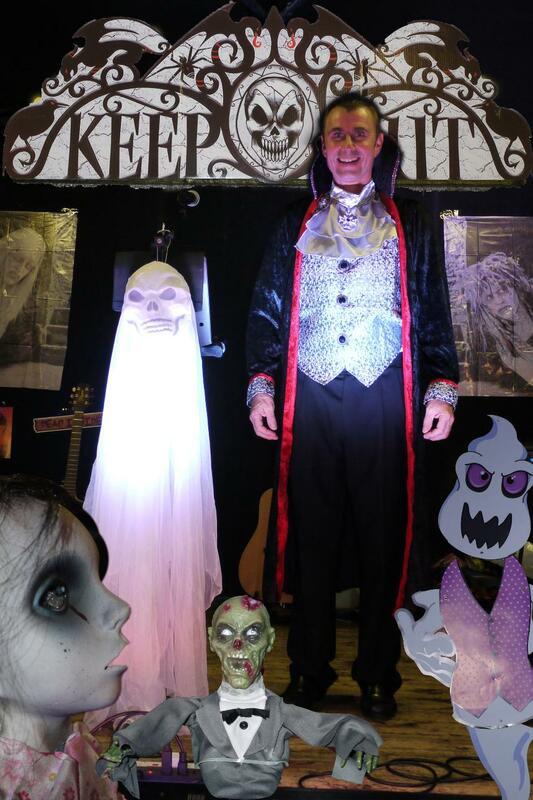 The hall was decked out with ghost, ghoulies, flashing lights, eerie manakins, spooky banners, a really scary display. 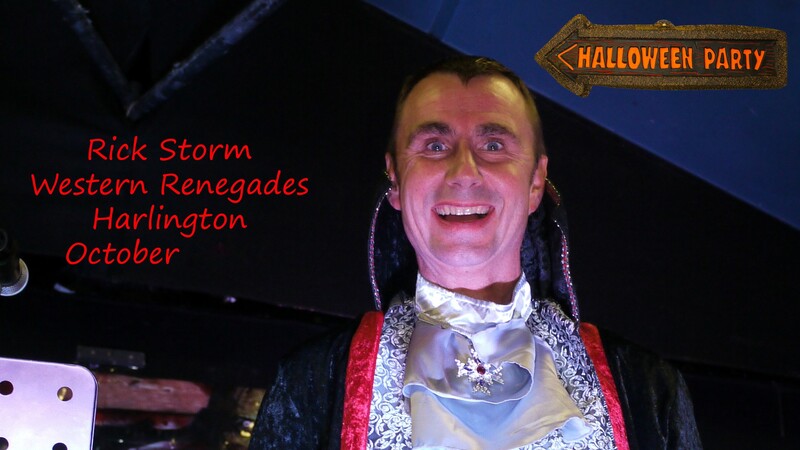 Rick Storm, entered in with the fun of the evening, coming as Count Dracula, which added to the atmosphere of the evening. 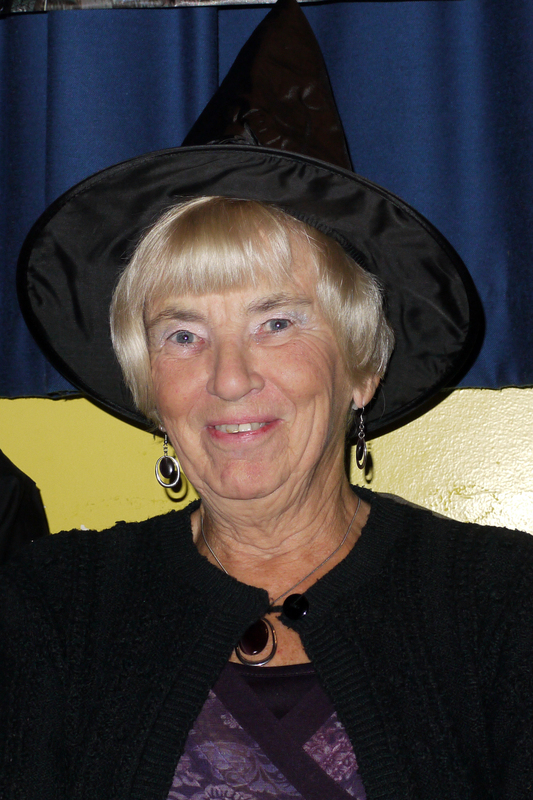 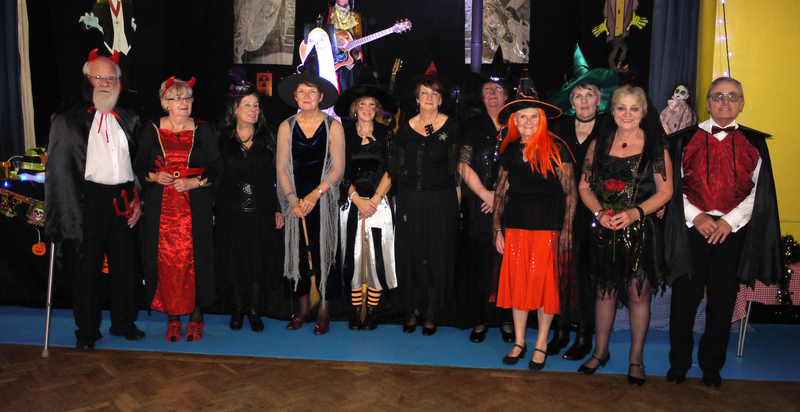 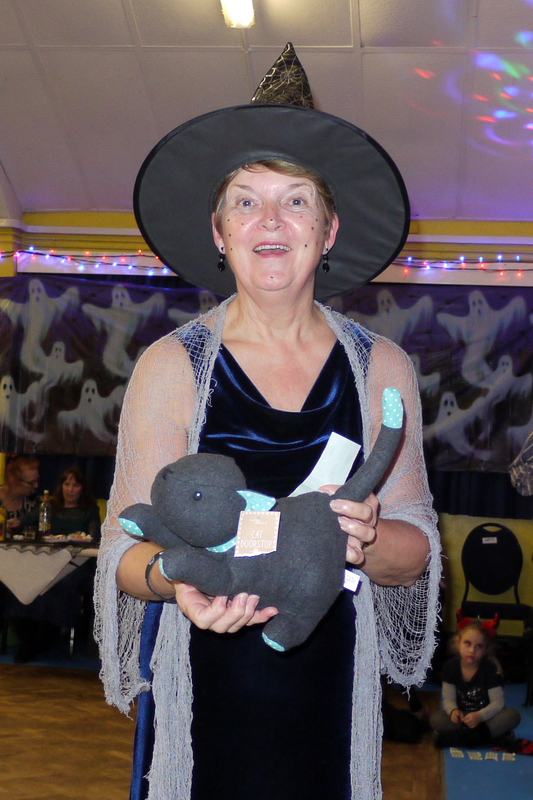 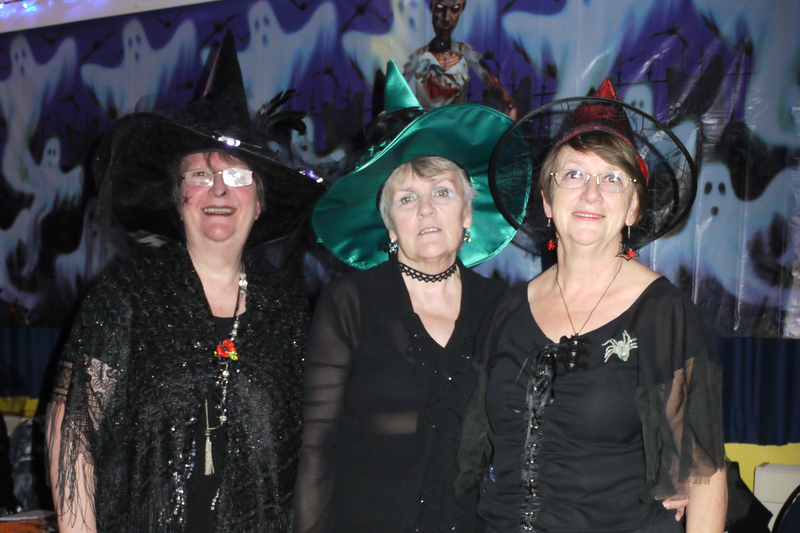 We not only had great spooky hall decorations but it was full of Witches, Warlocks, Draculas. 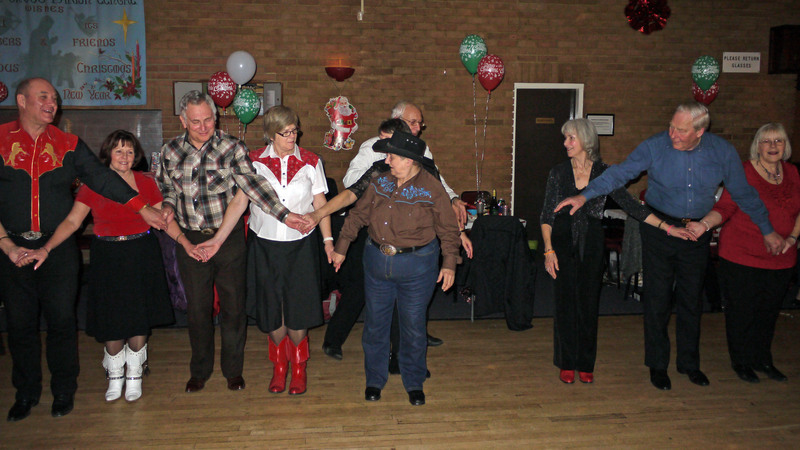 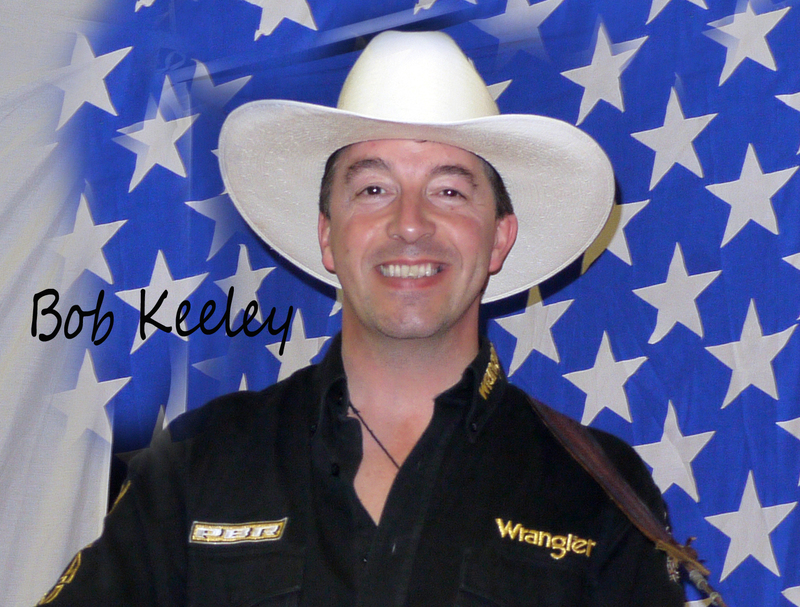 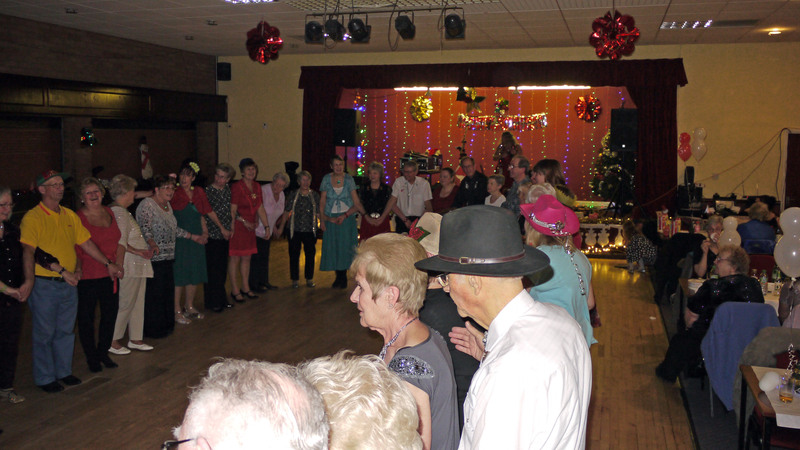 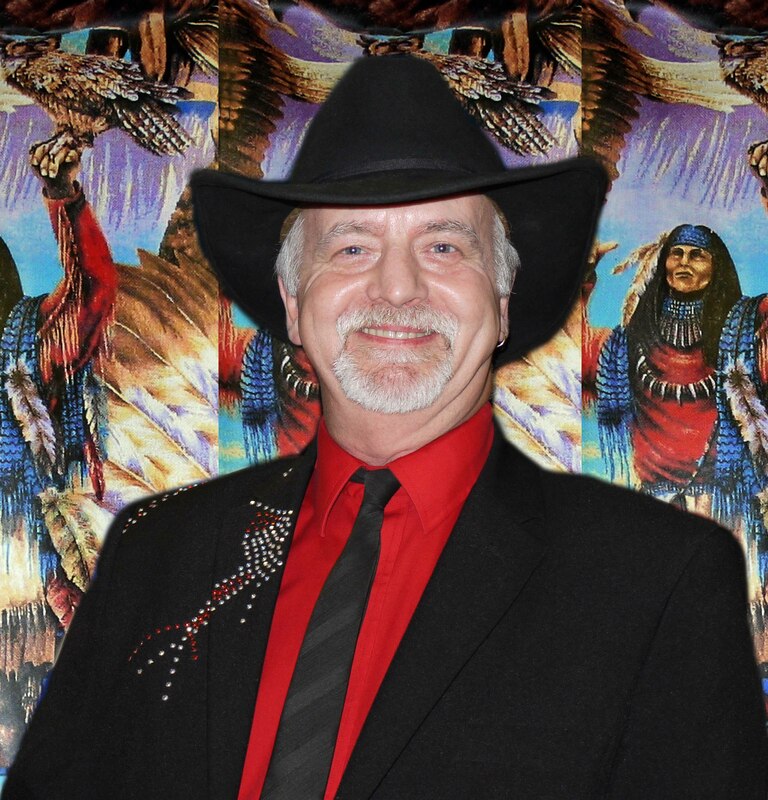 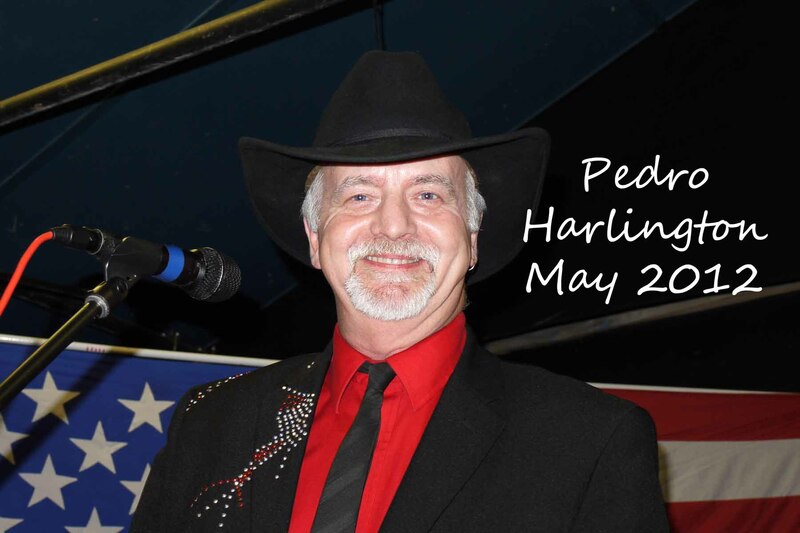 all dancing to a full evening of danceable country music, from Rick Storm. 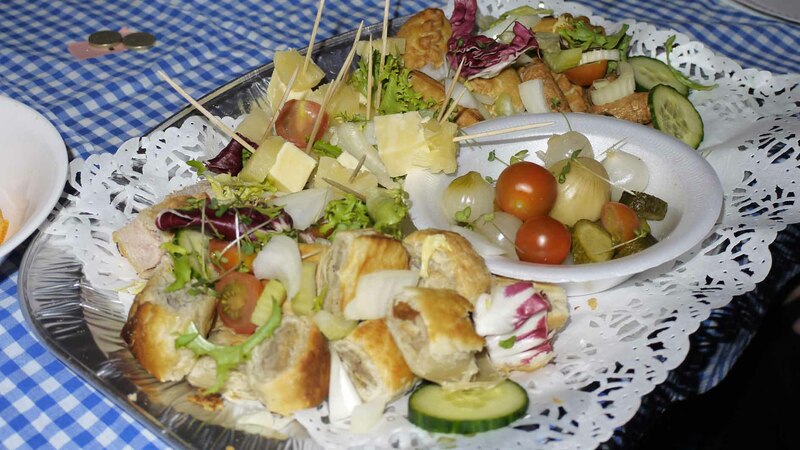 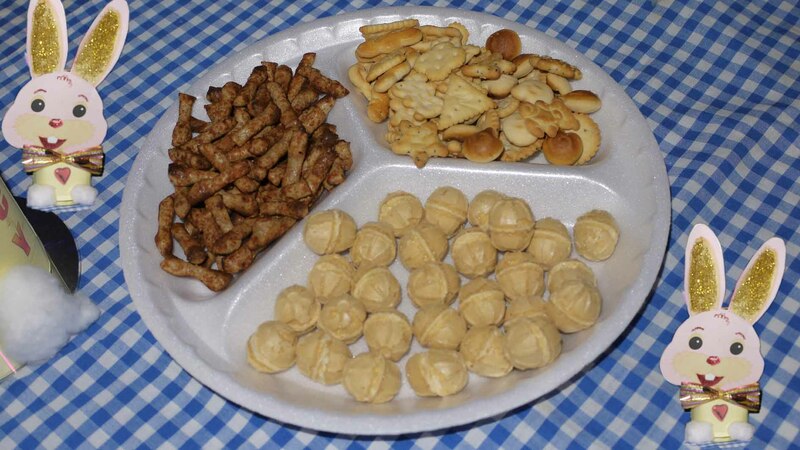 To complete the evening there was a buffet of backed potatoes, with a choice of filling followed by jelly and eyeballs. 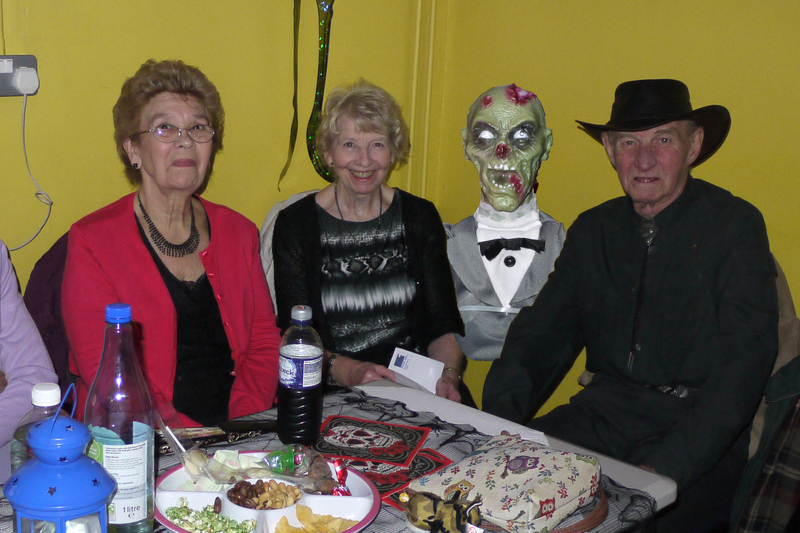 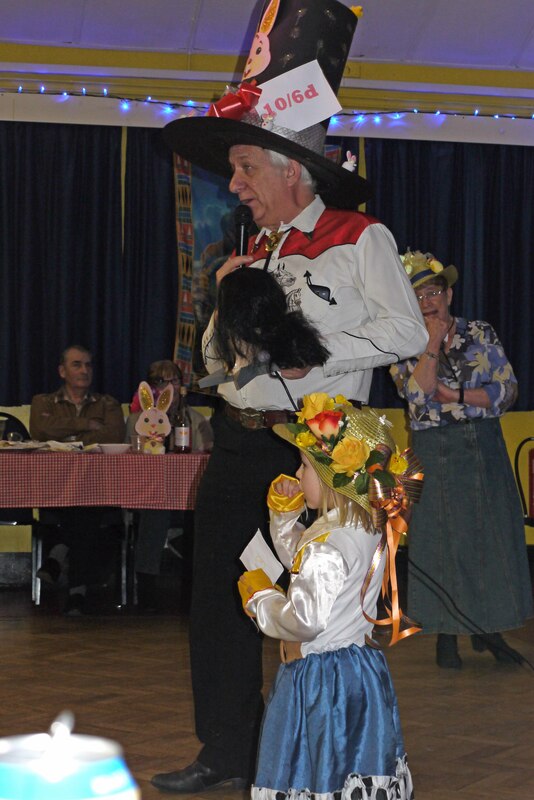 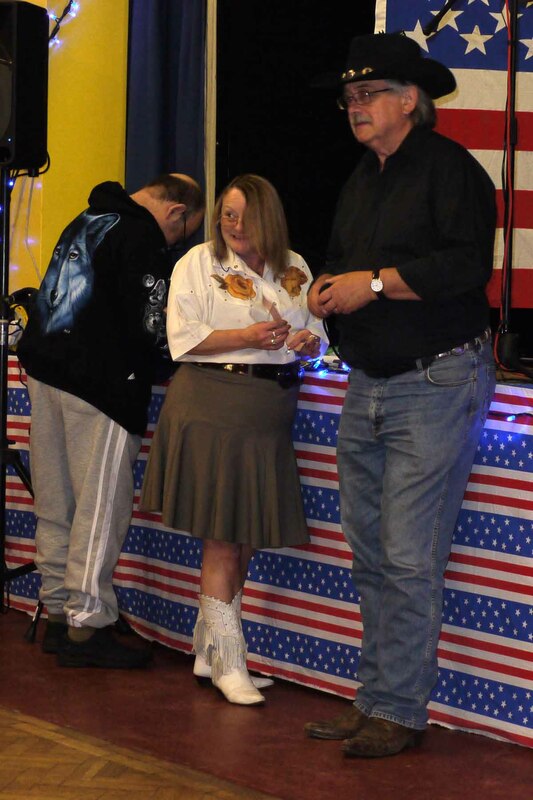 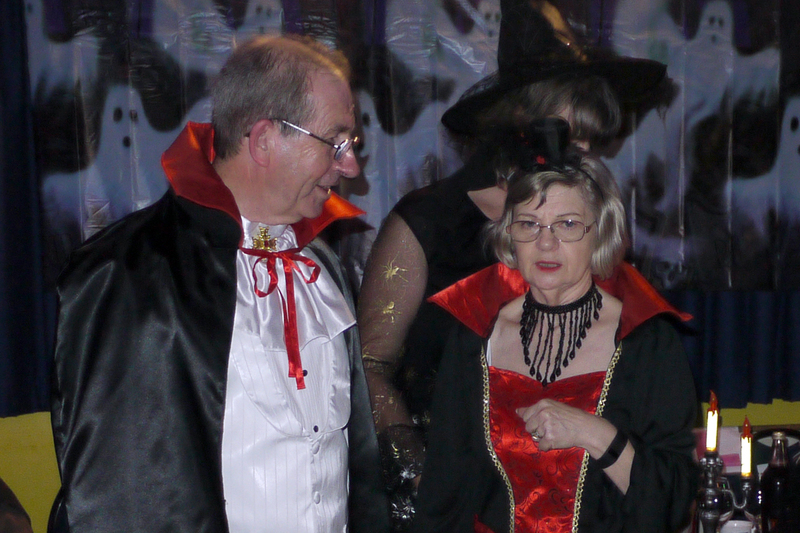 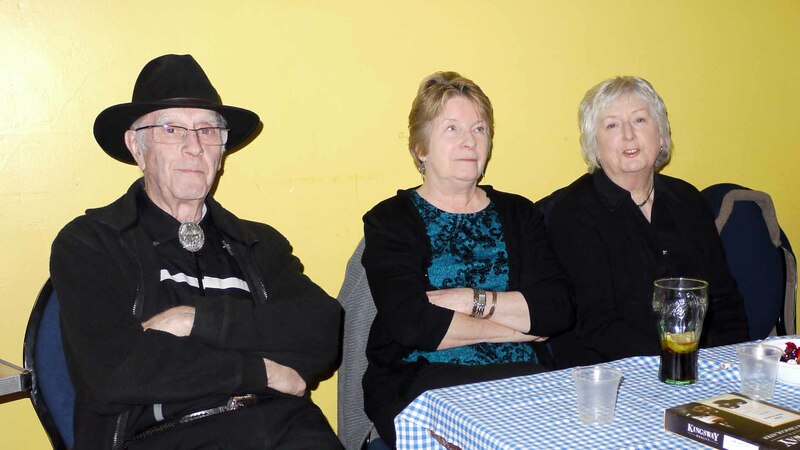 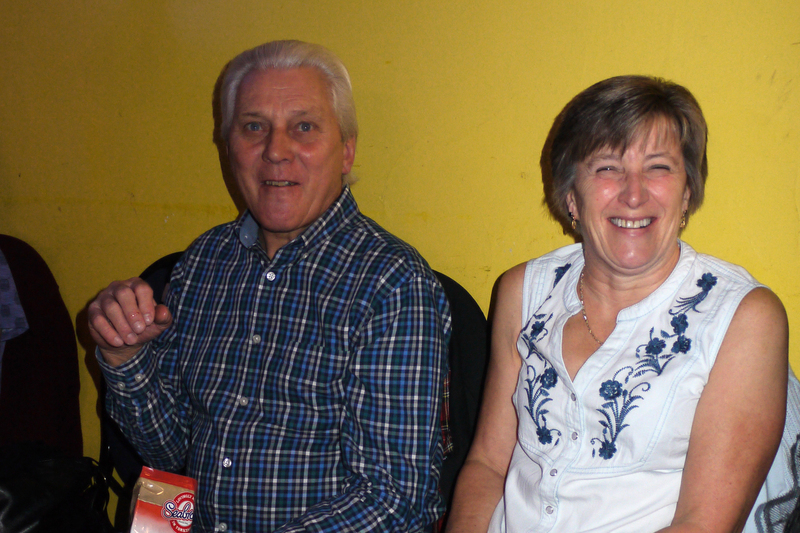 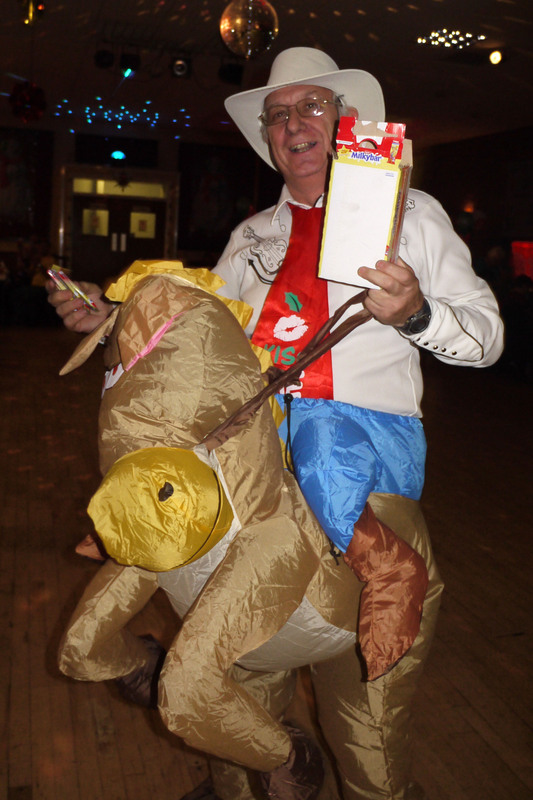 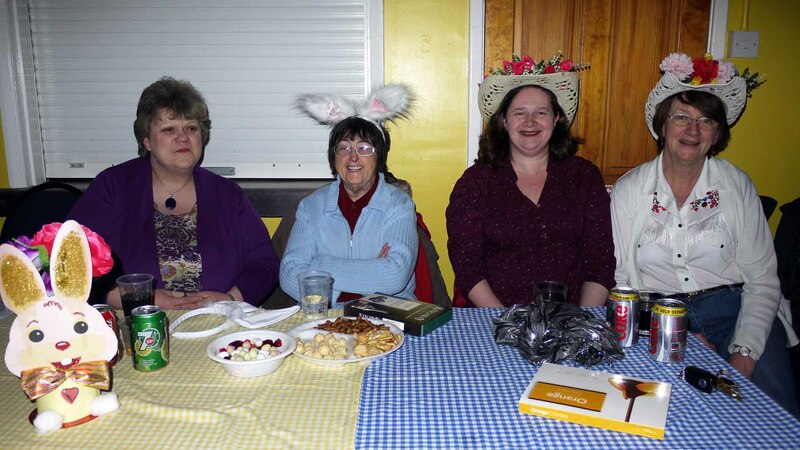 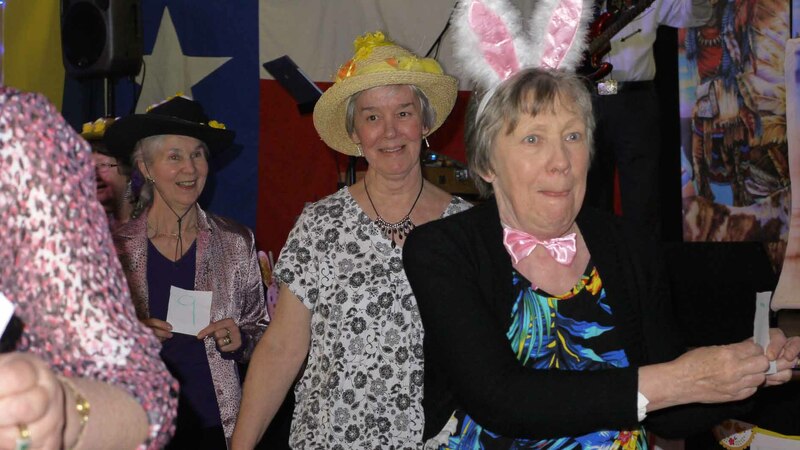 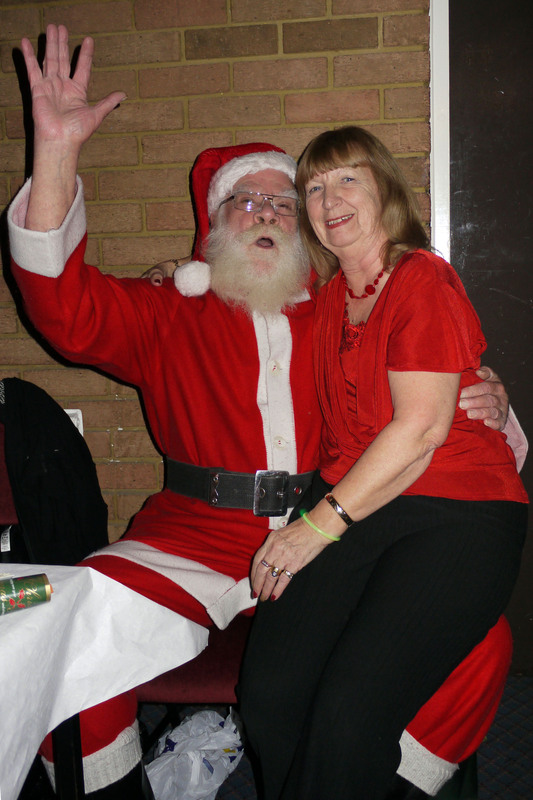 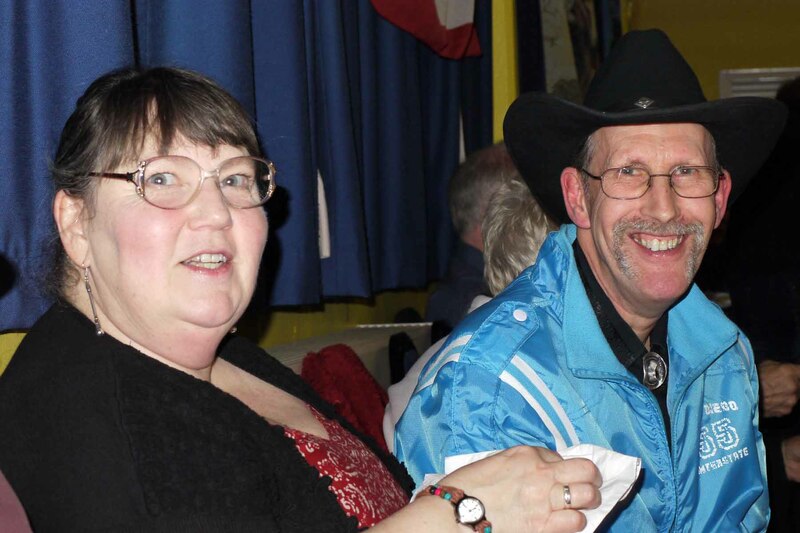 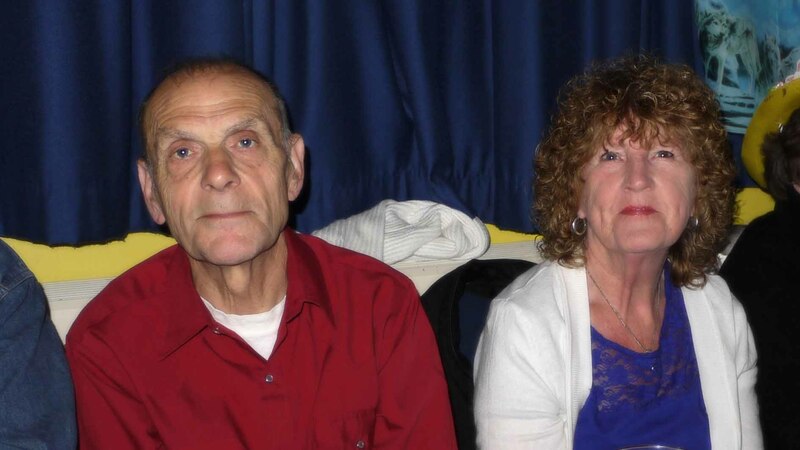 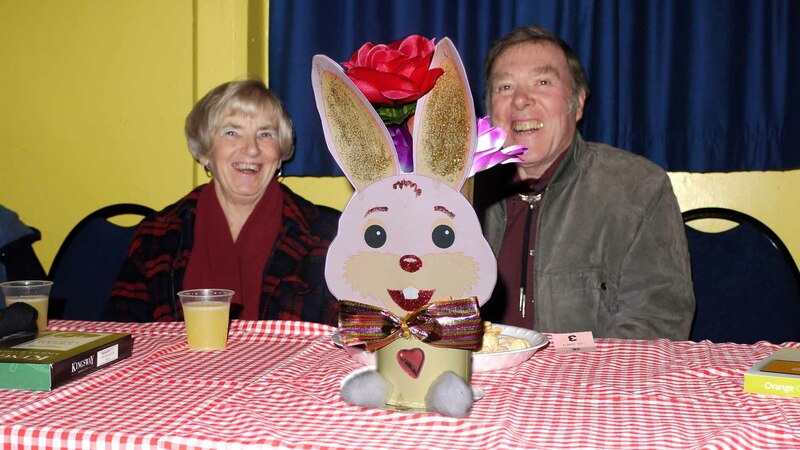 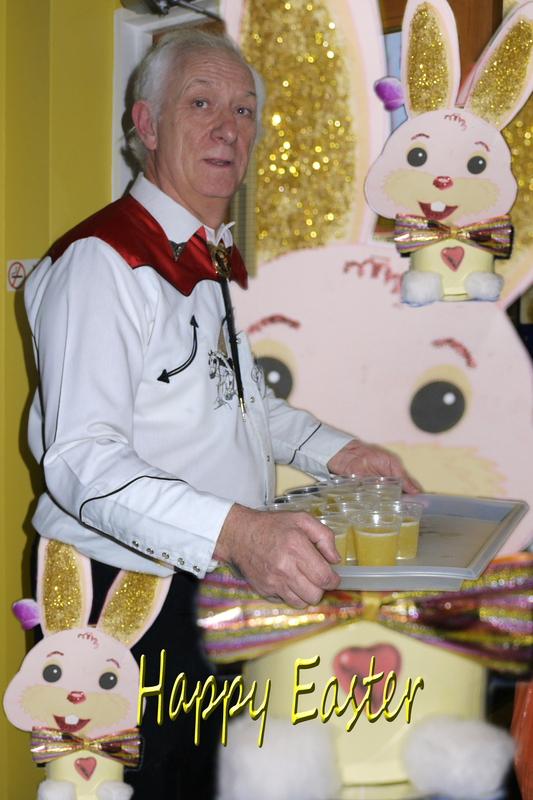 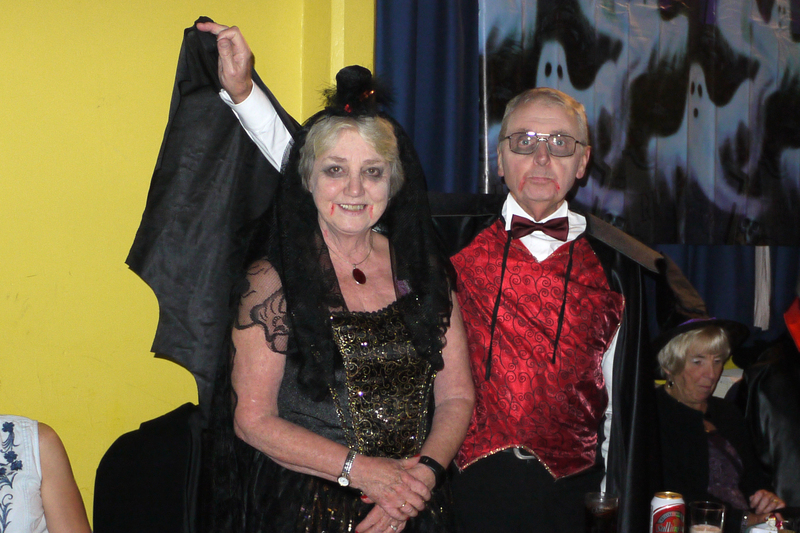 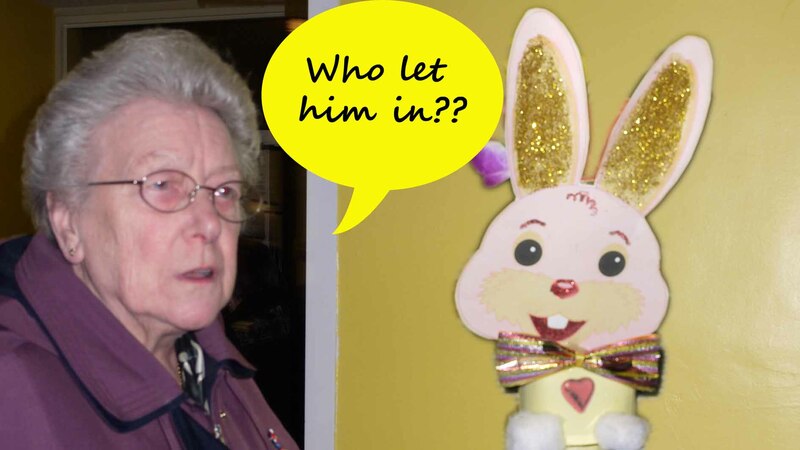 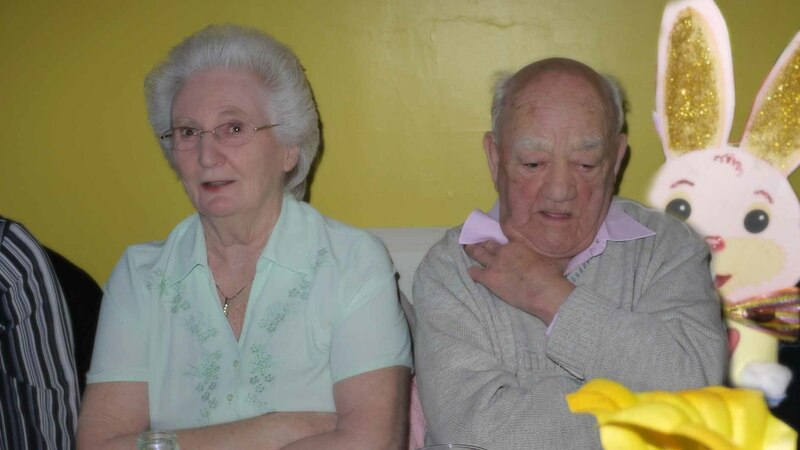 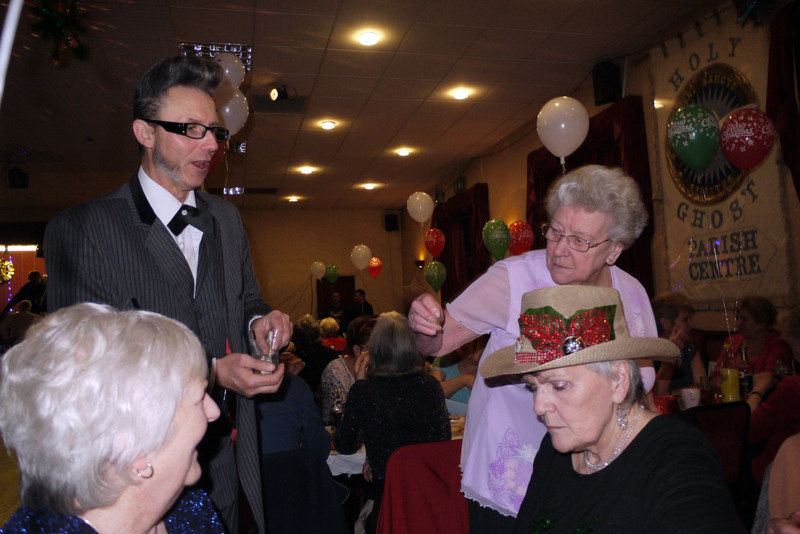 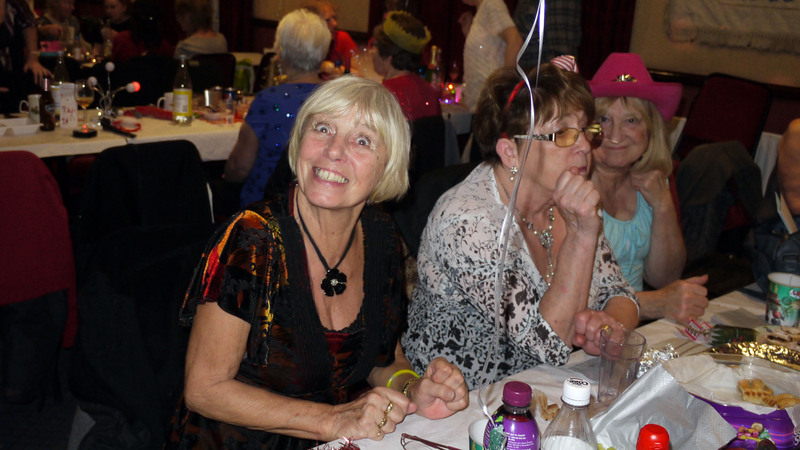 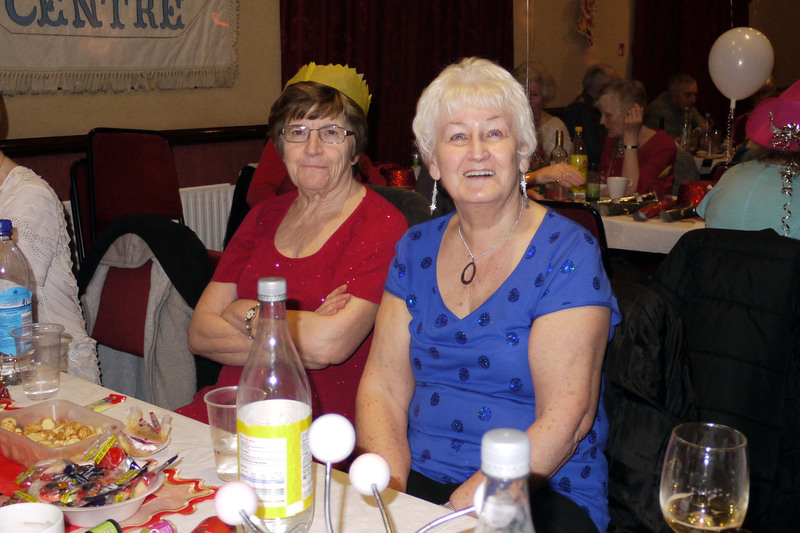 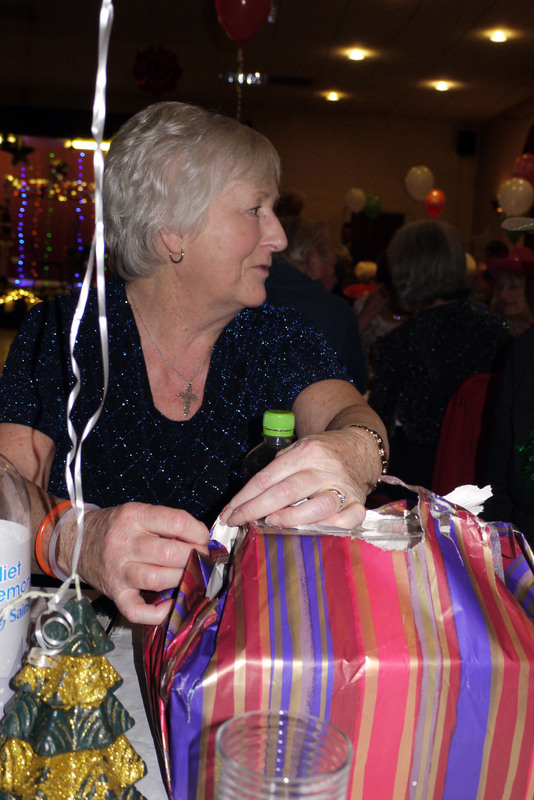 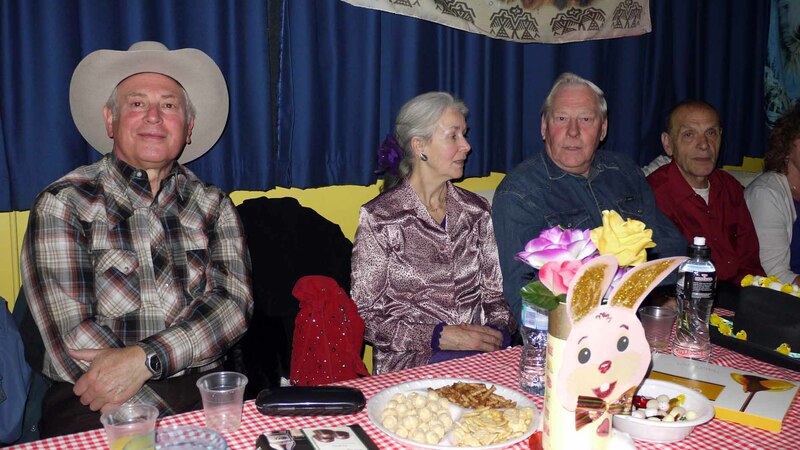 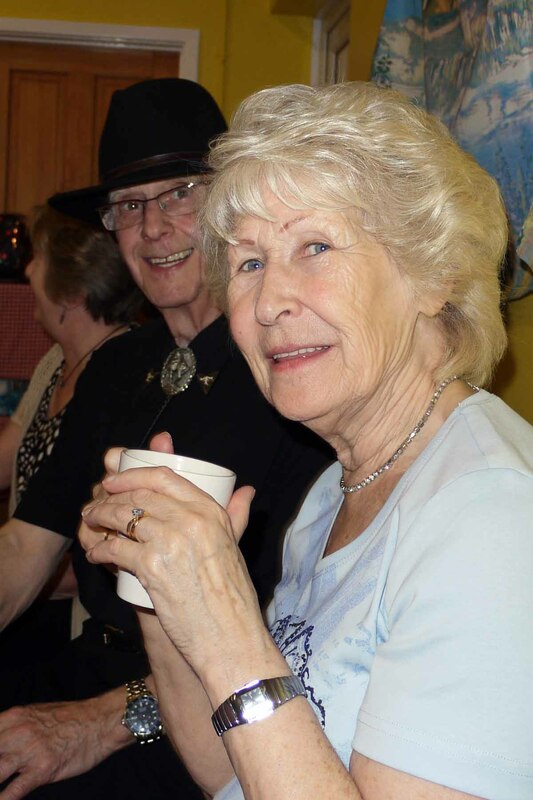 We also had a “best dressed” competition which Tex won with his wife Jan and Fred as runners up. 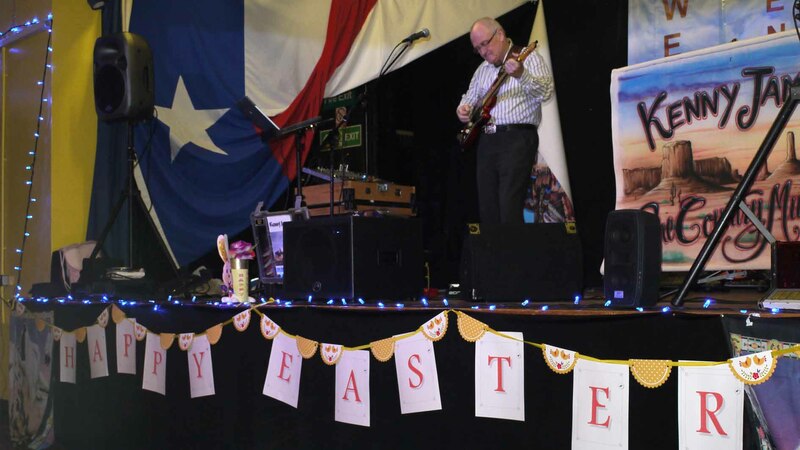 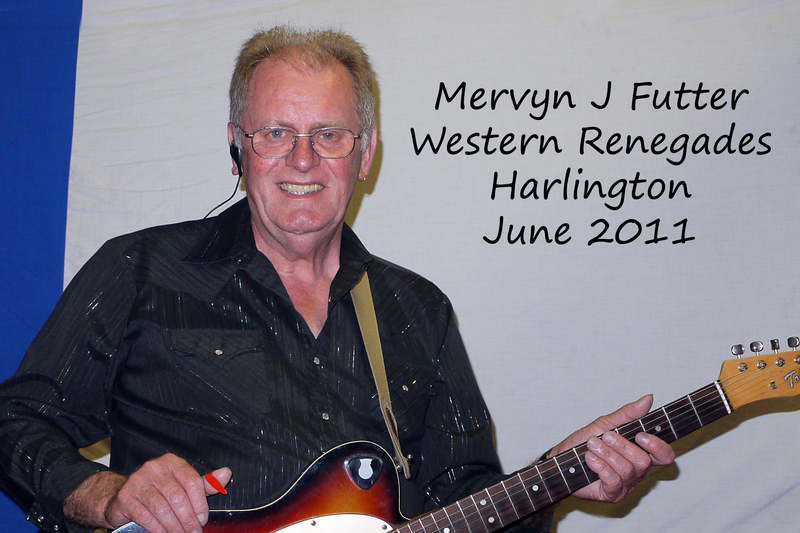 A great night and a fitting finish with Rick playing Ron's favourite tune. 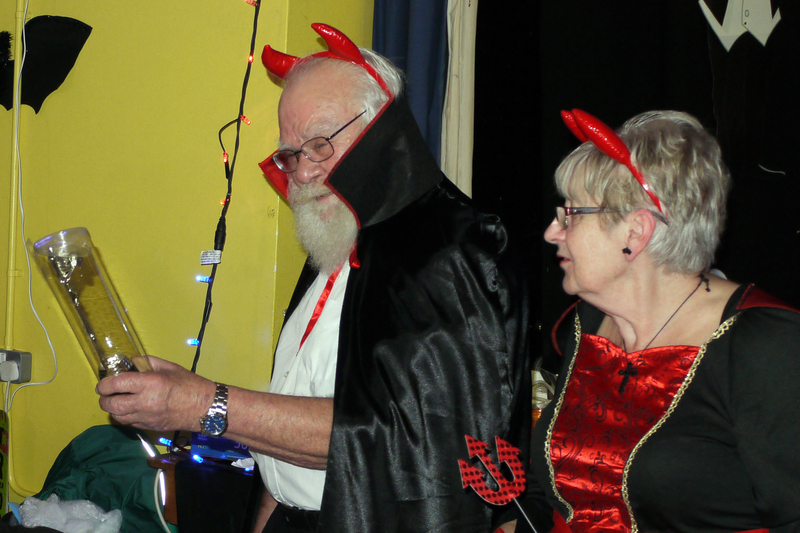 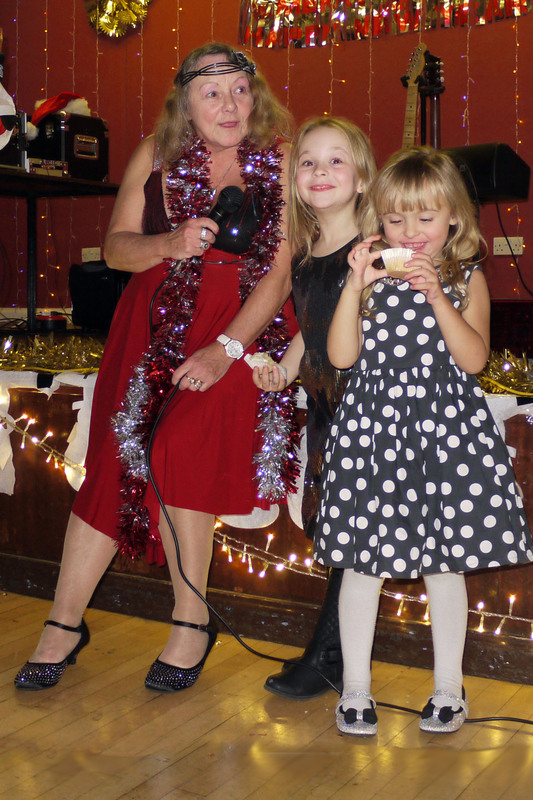 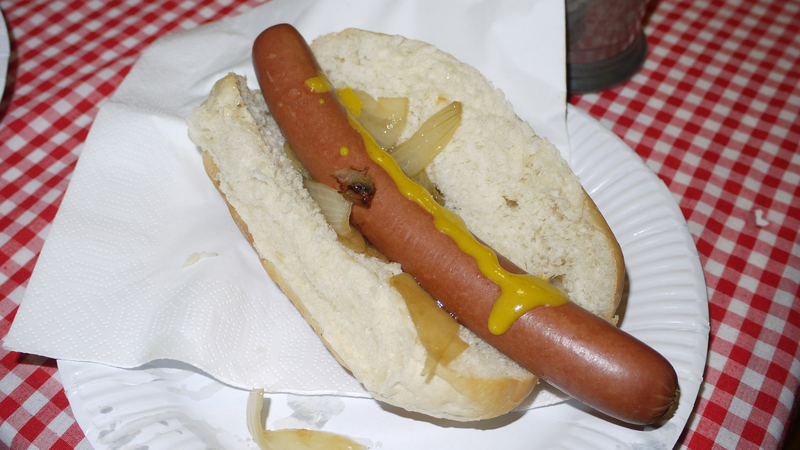 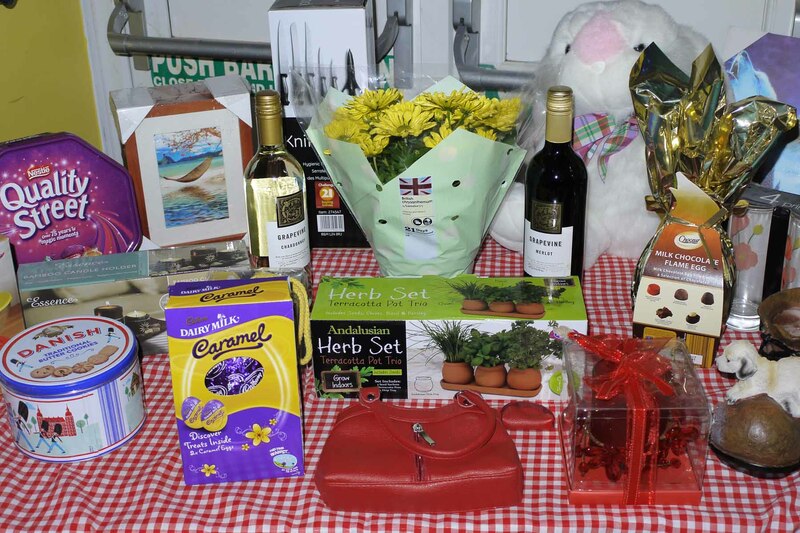 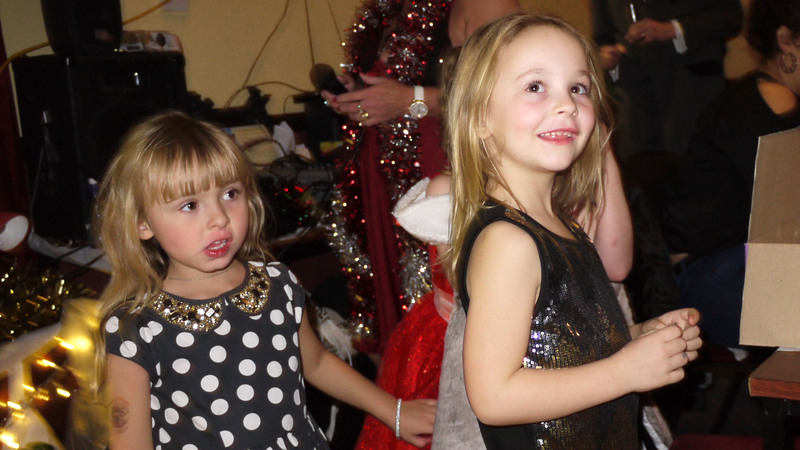 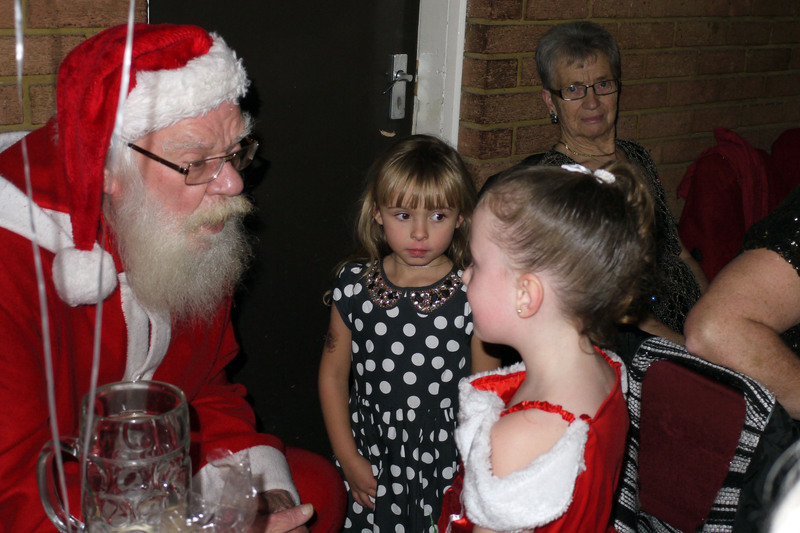 Thanks to all who supported the evening and thanks to Ron, Lucy and helpers for all their hard work. 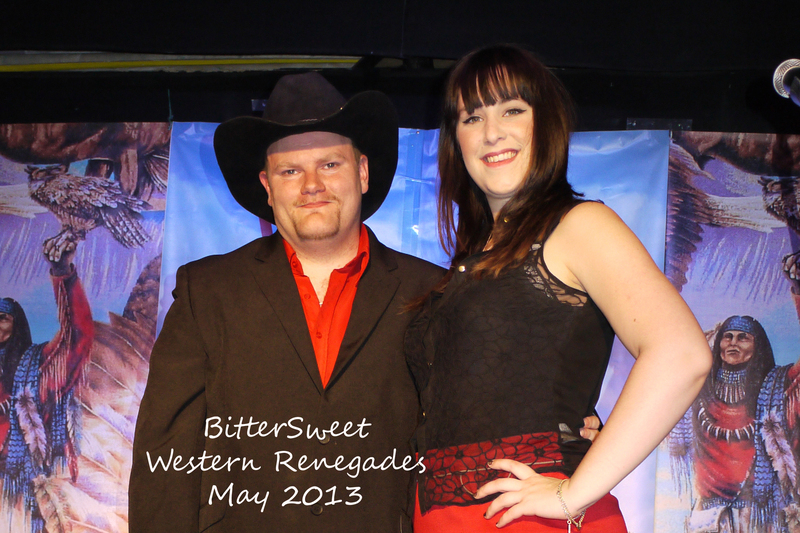 Western Renegades CMC Harlington Beds, 25 May 2013 with Bittersweet.